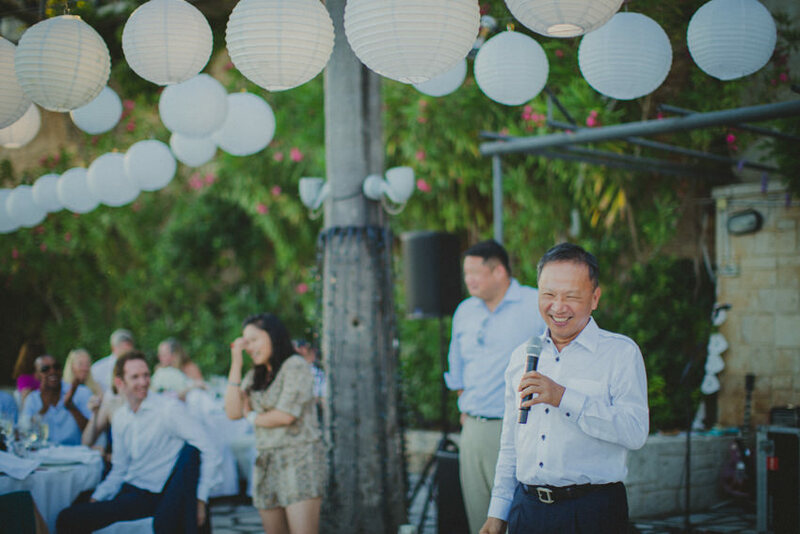 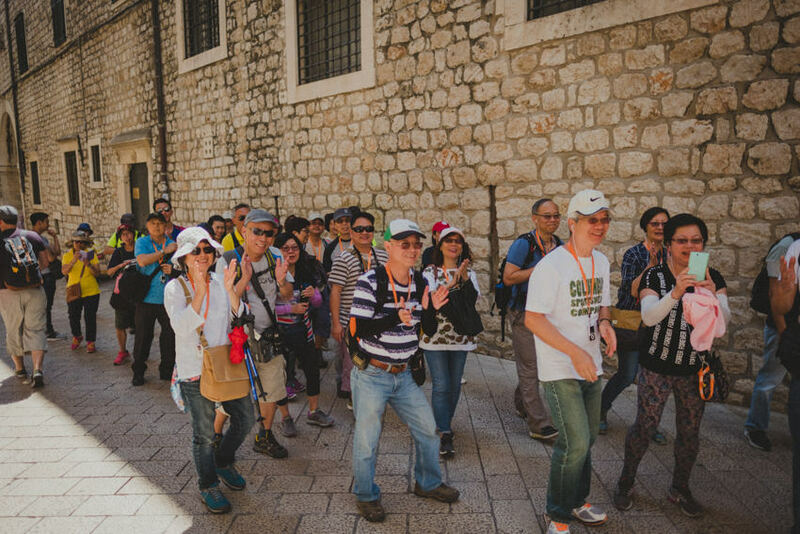 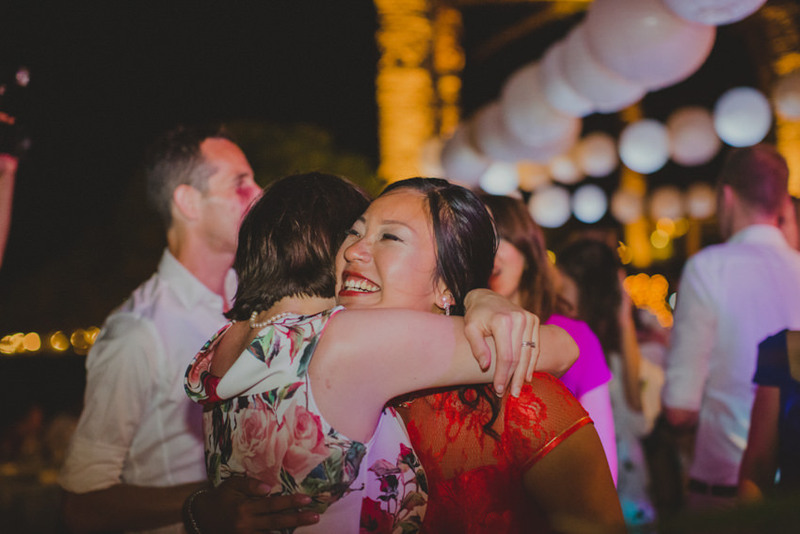 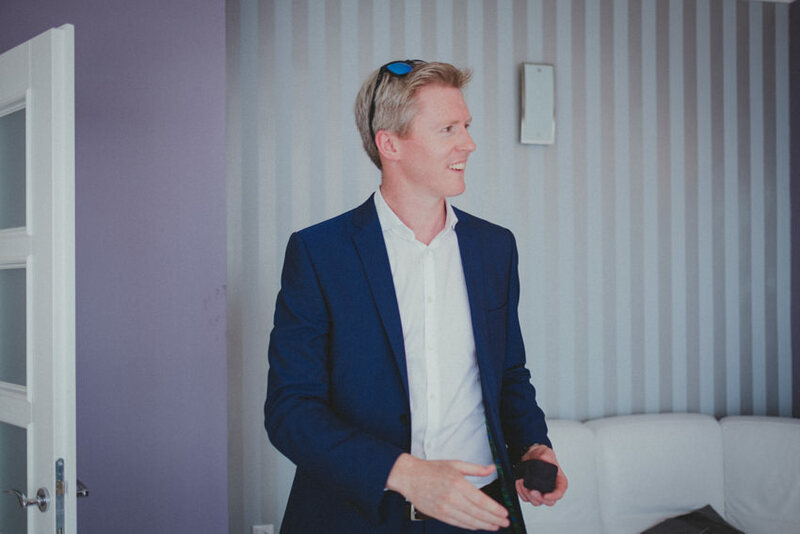 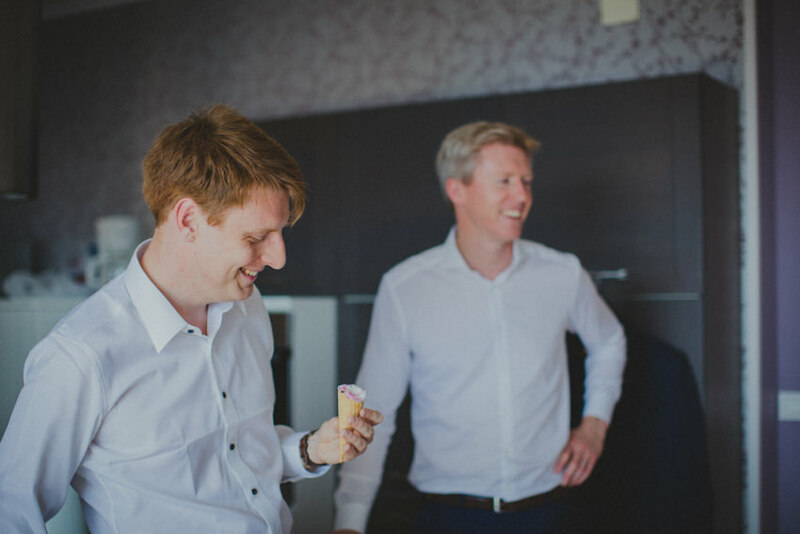 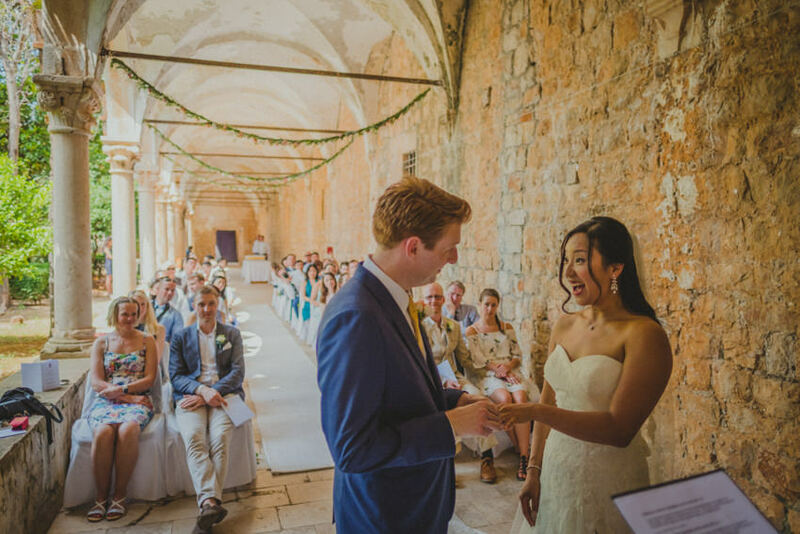 Today, Ireland meets Taiwan on the shores of Dubrovnik and Lokrum on this multi-cultural meet-up which was bursting with beauty and happy faces. 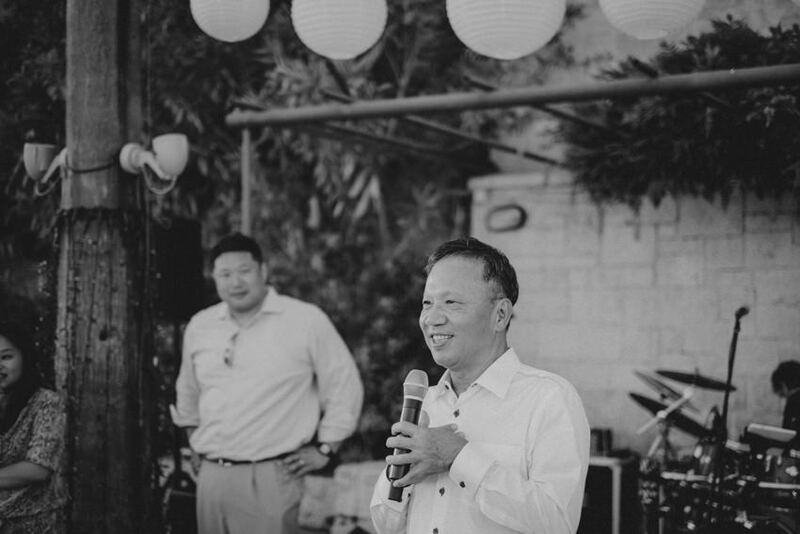 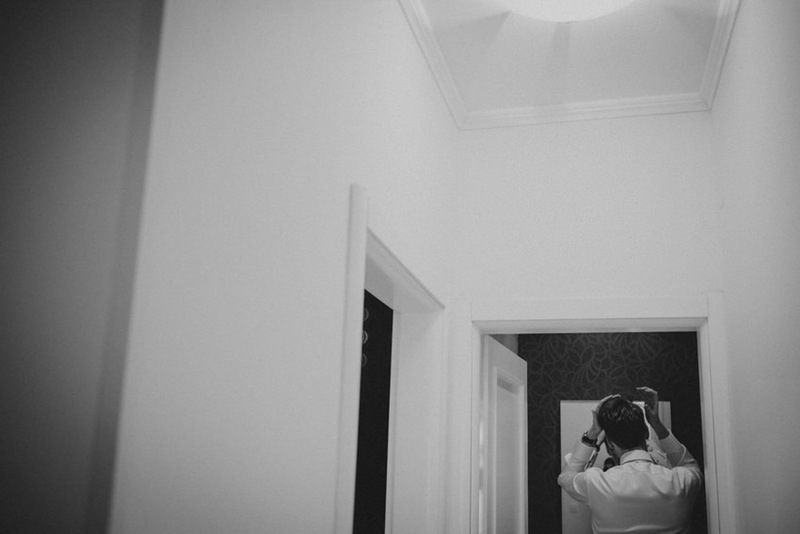 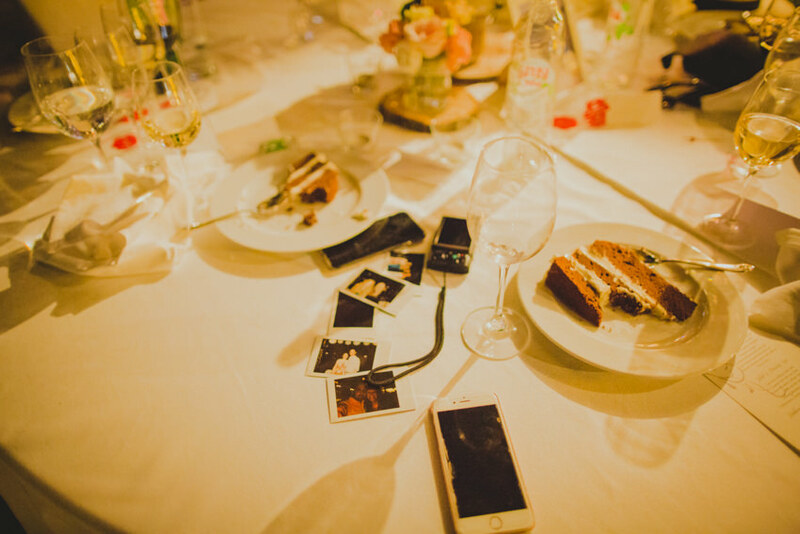 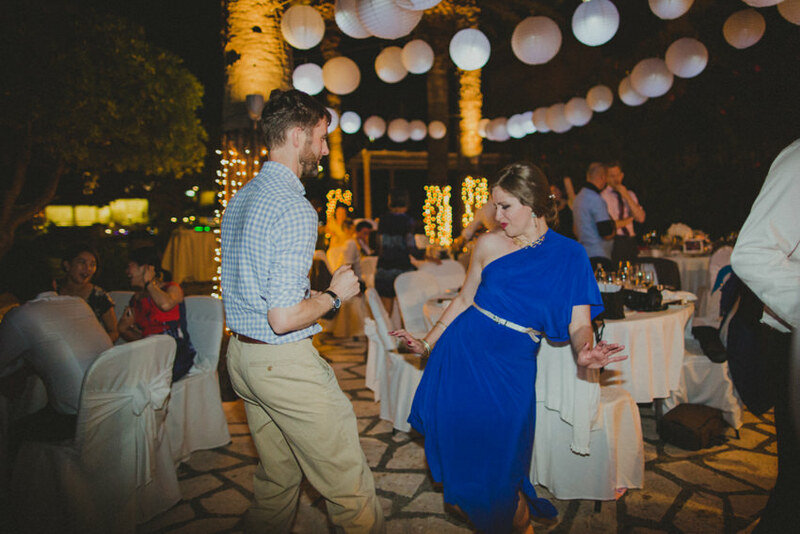 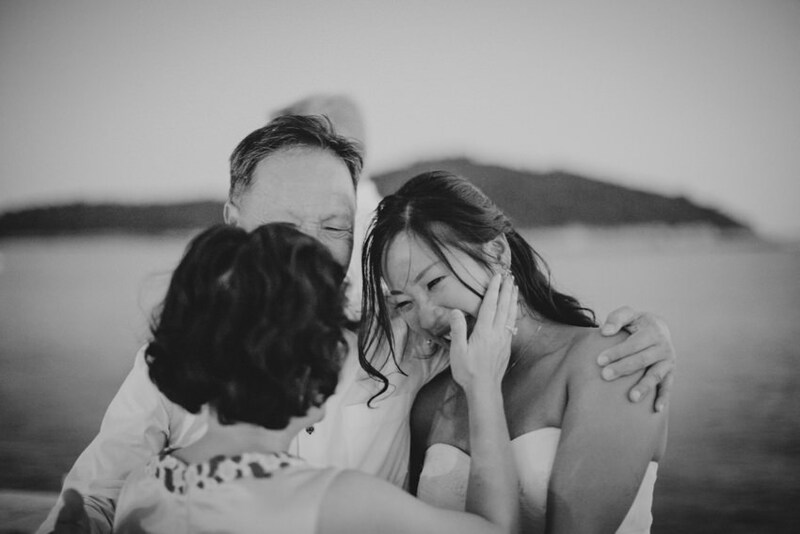 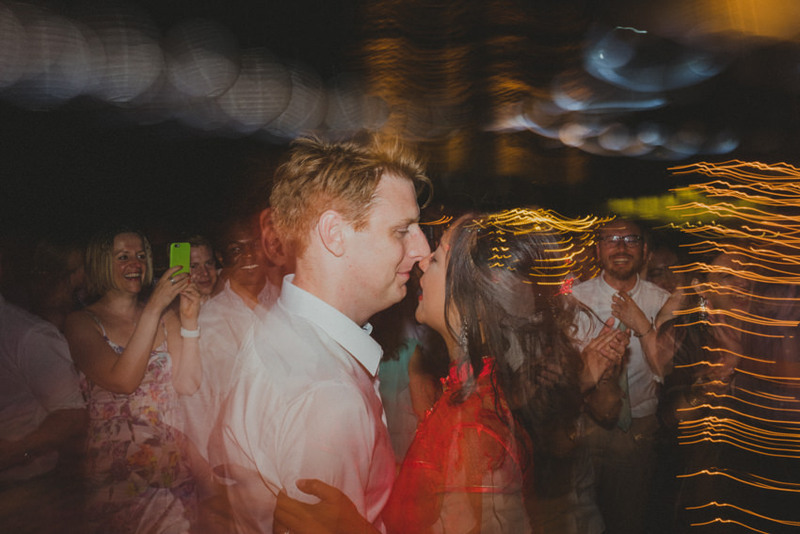 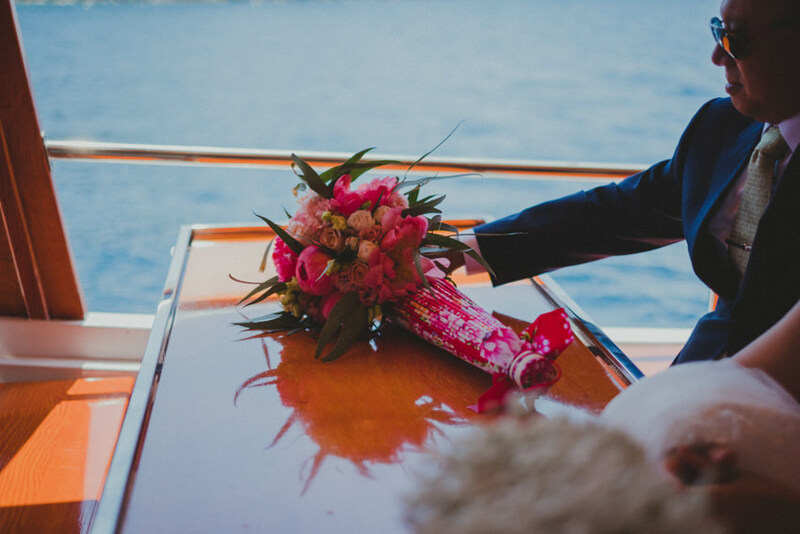 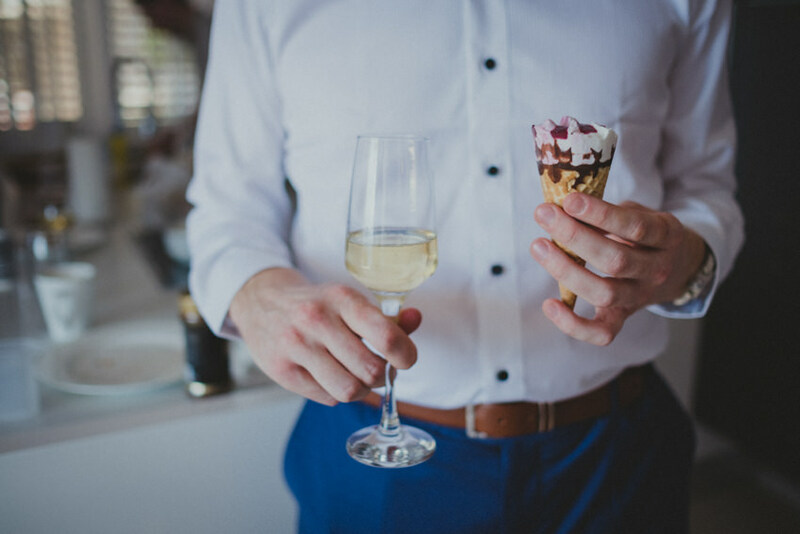 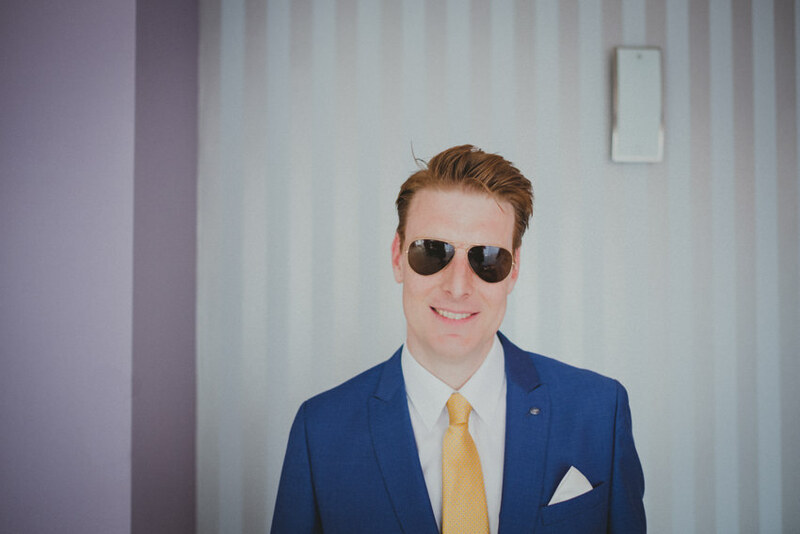 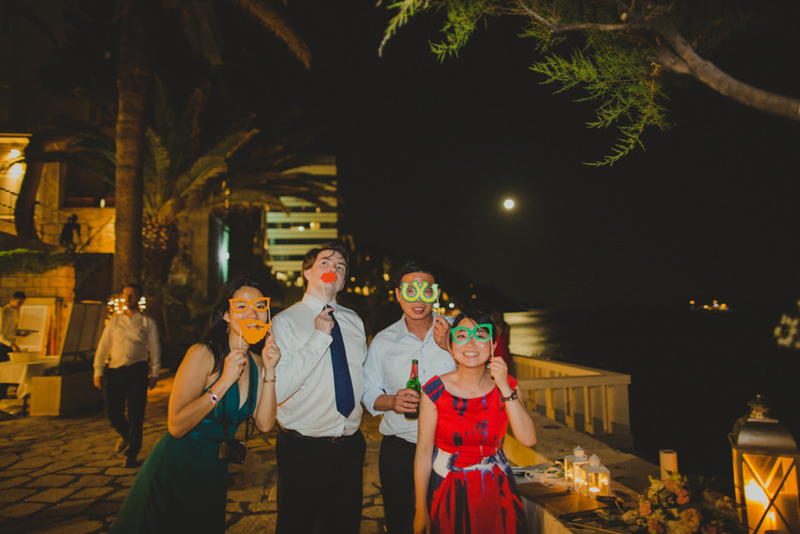 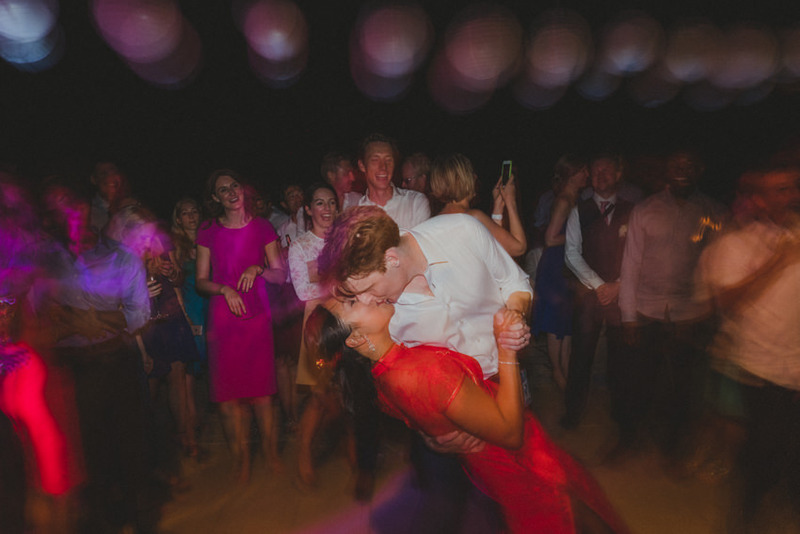 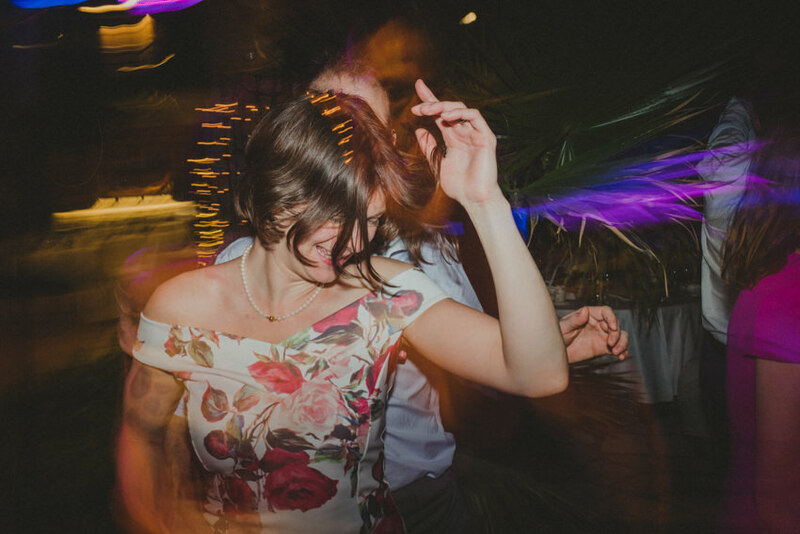 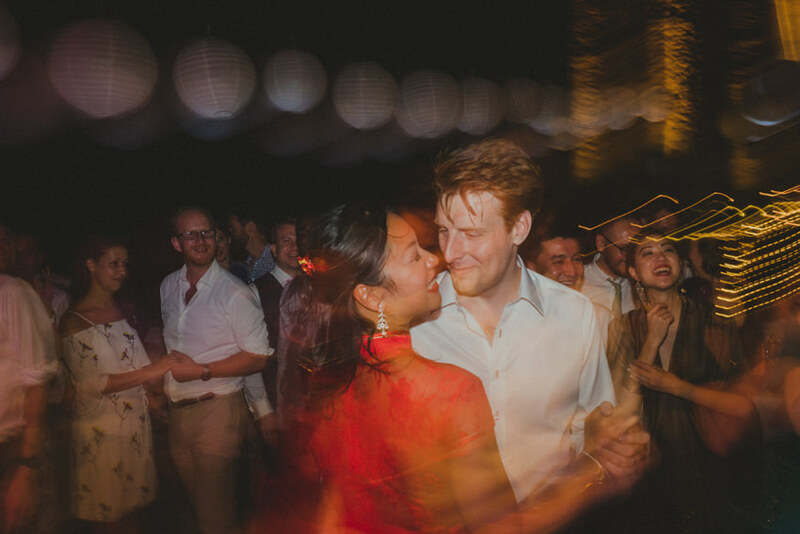 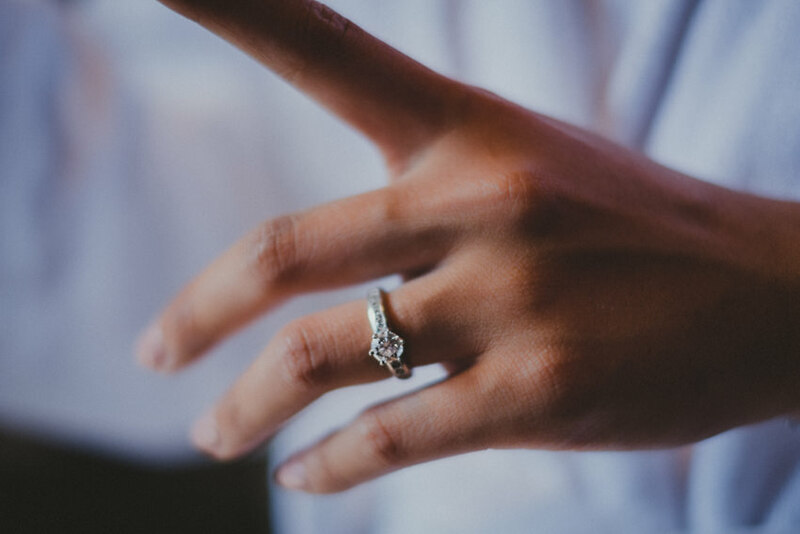 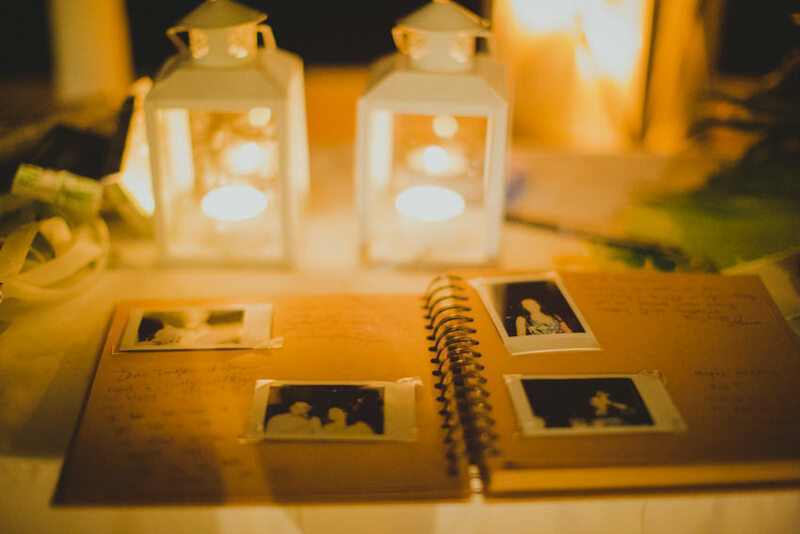 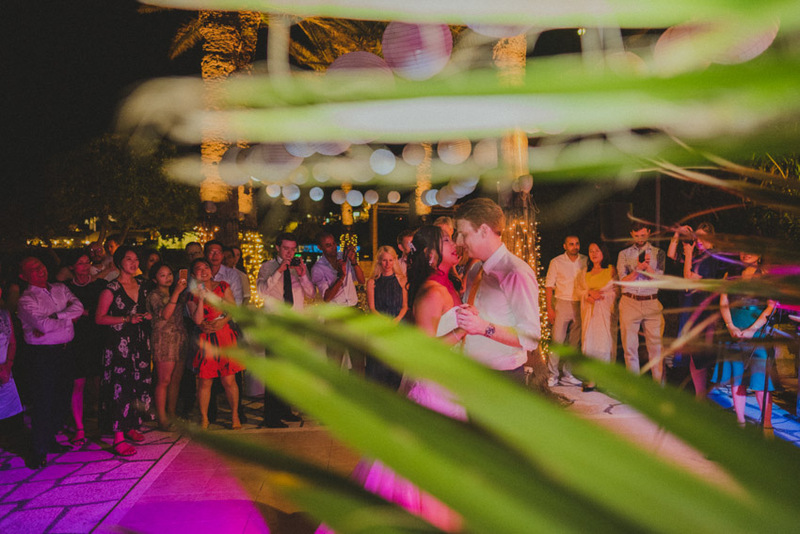 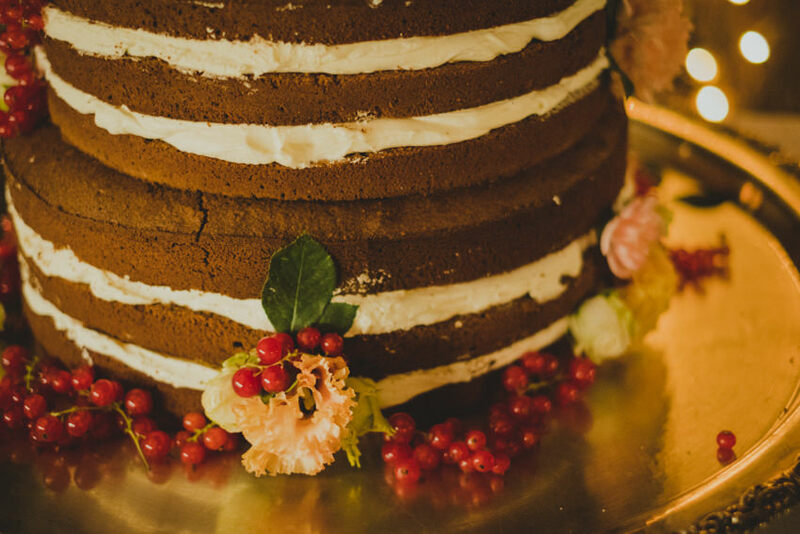 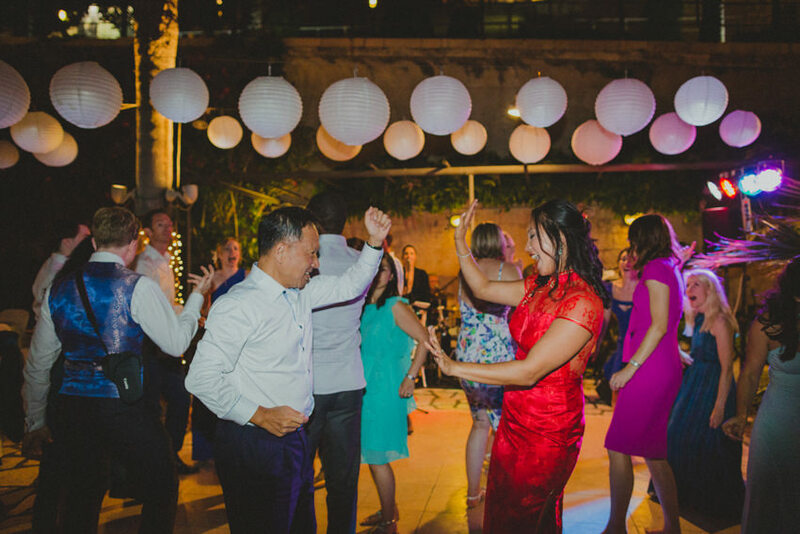 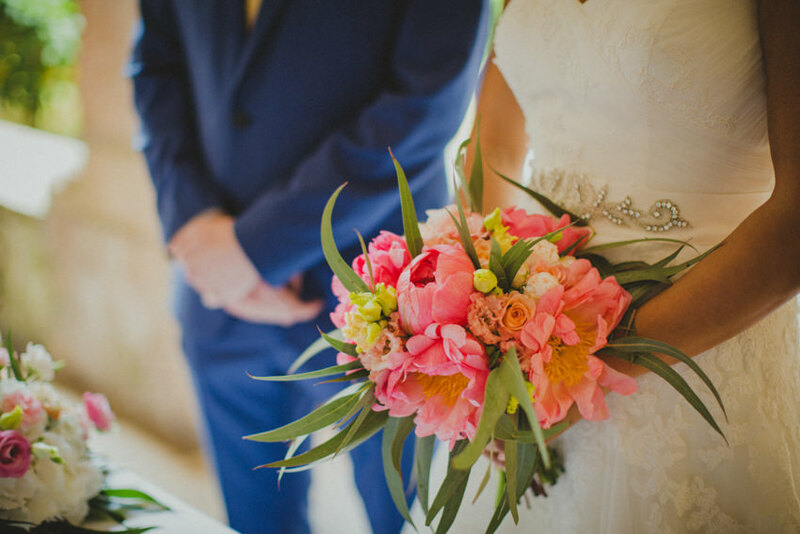 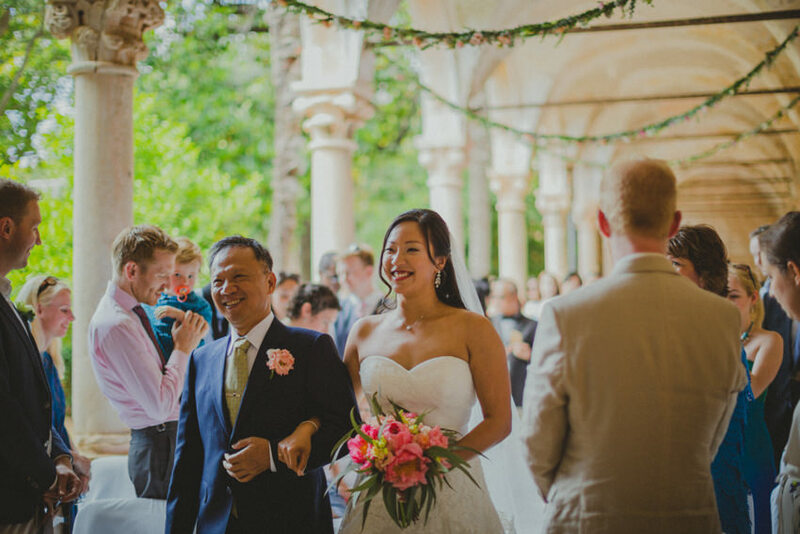 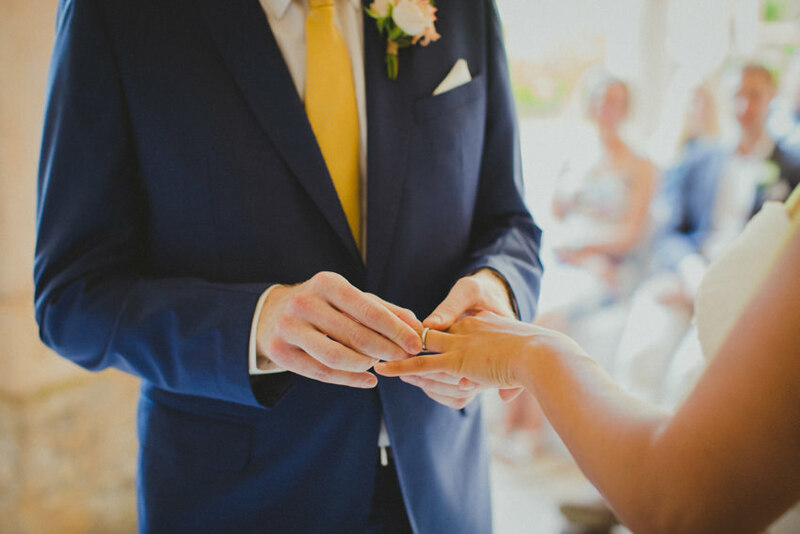 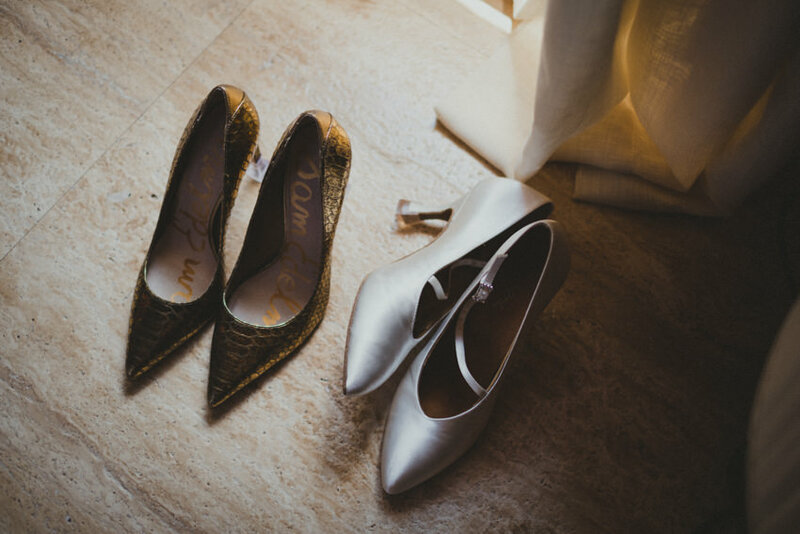 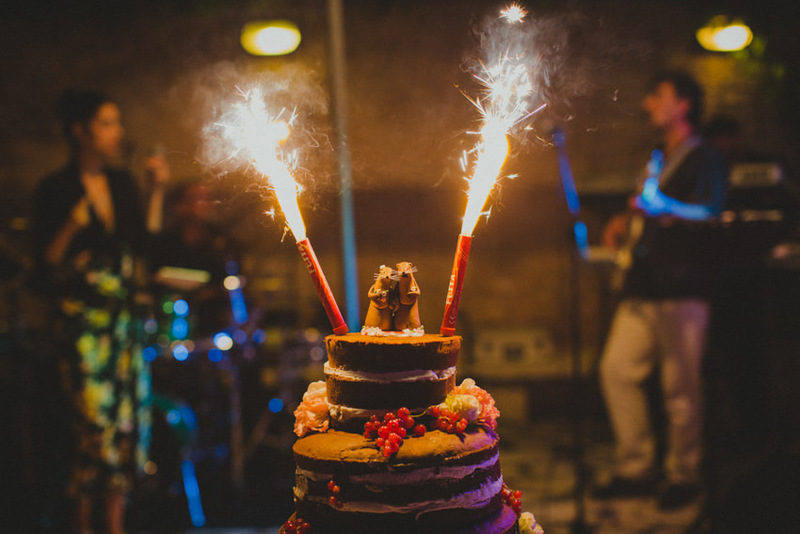 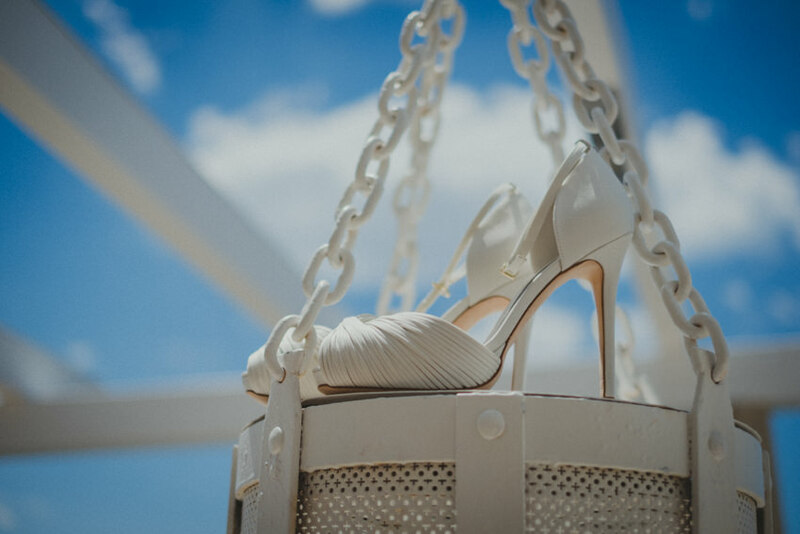 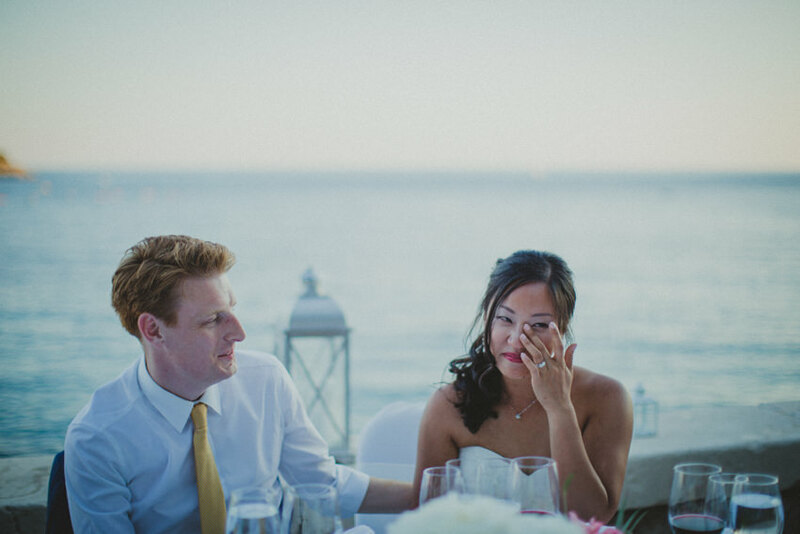 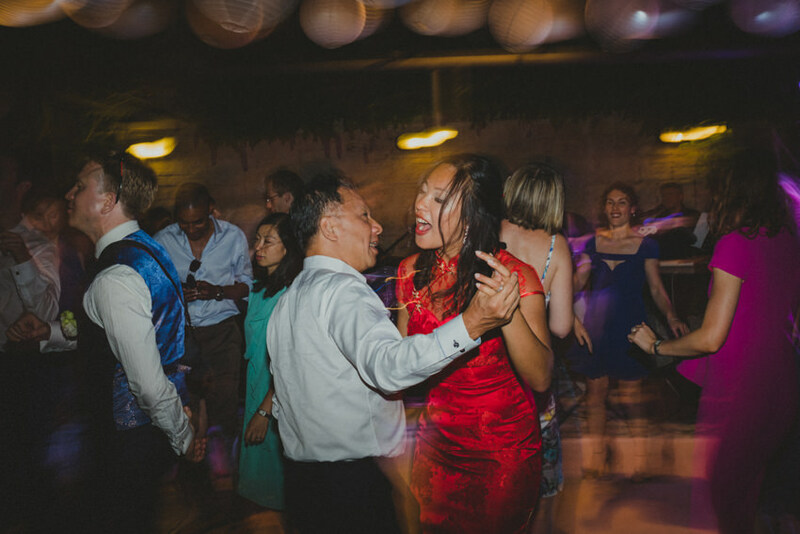 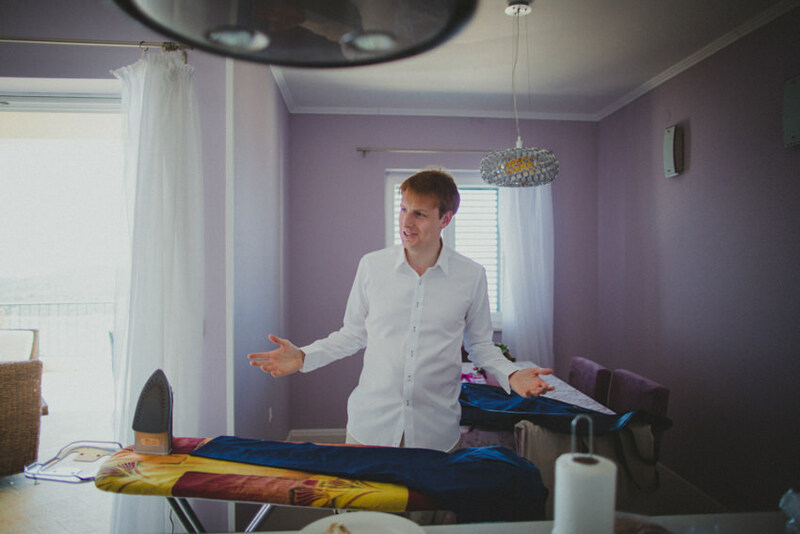 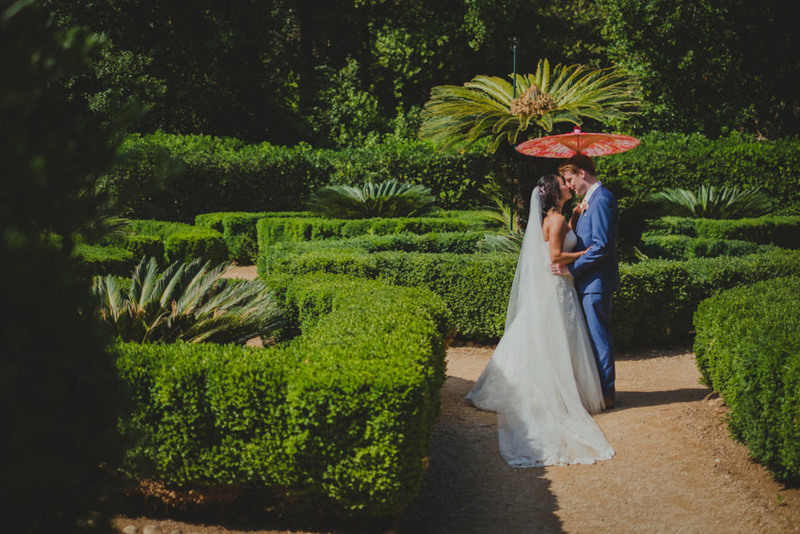 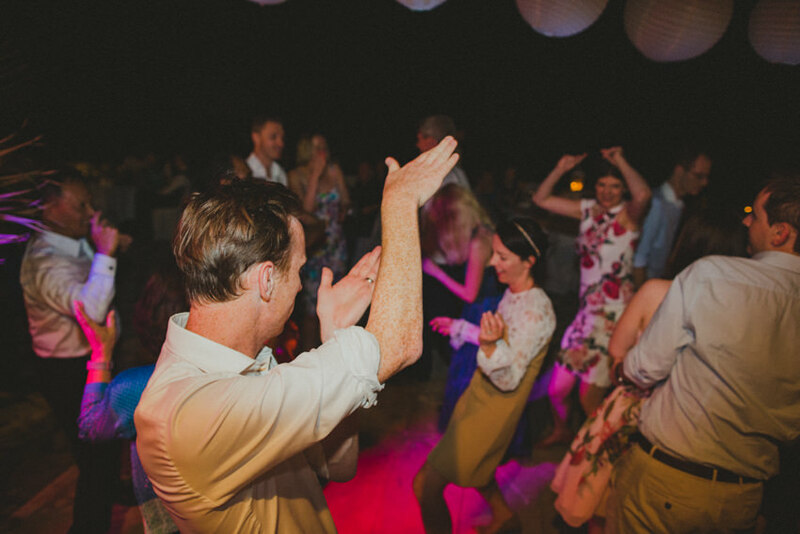 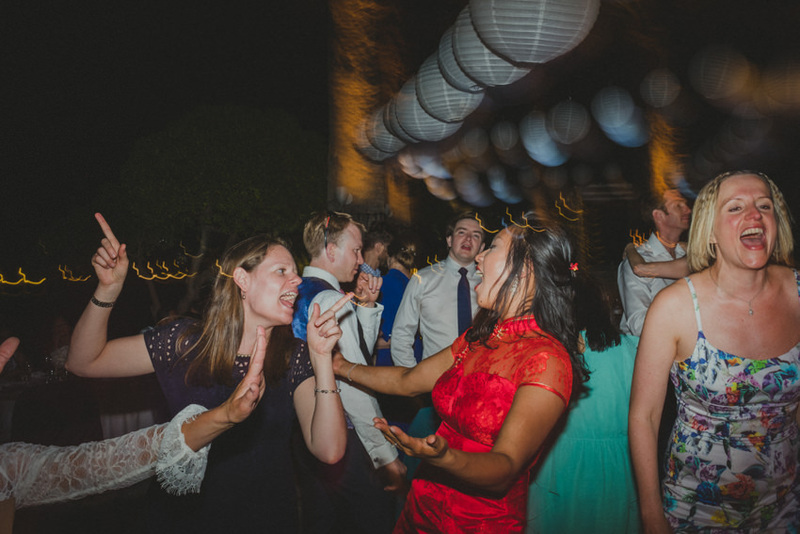 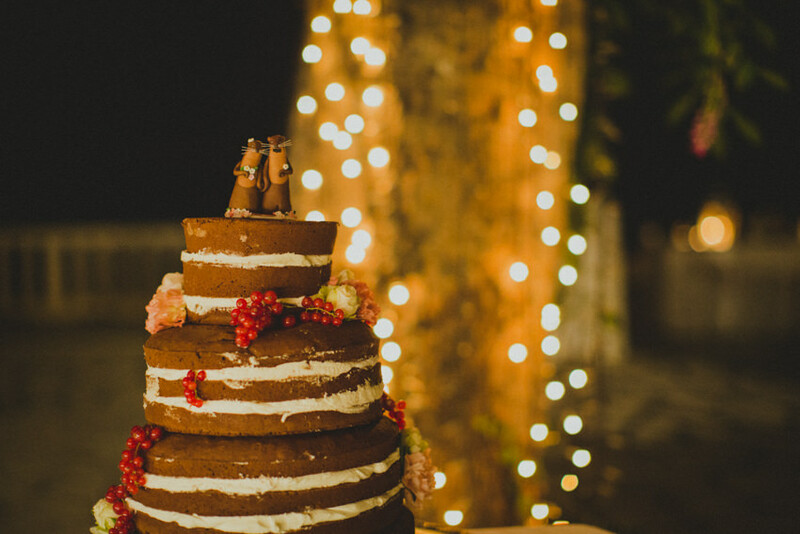 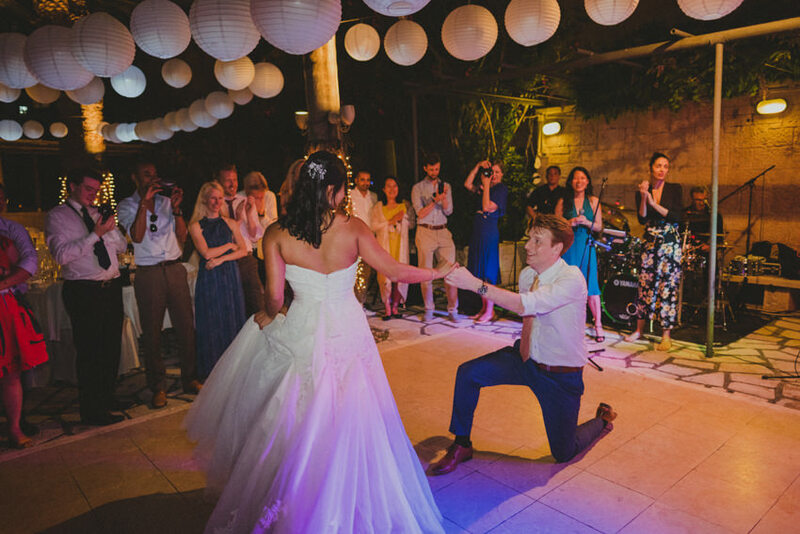 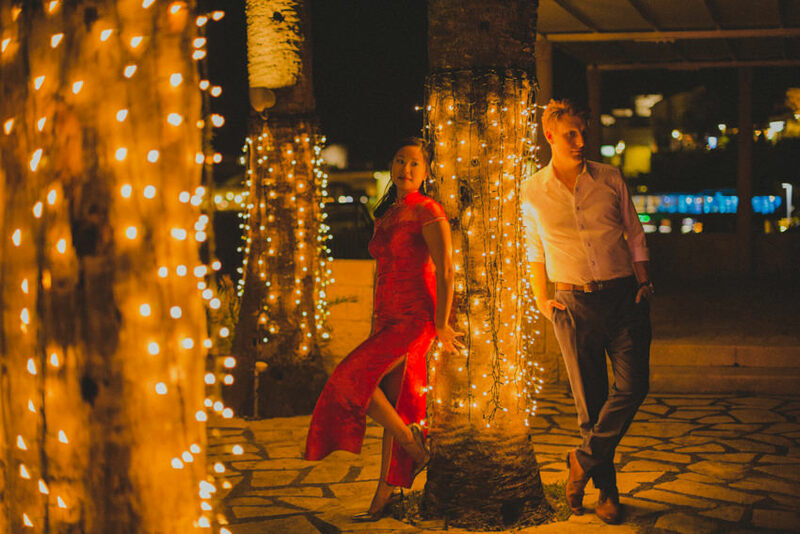 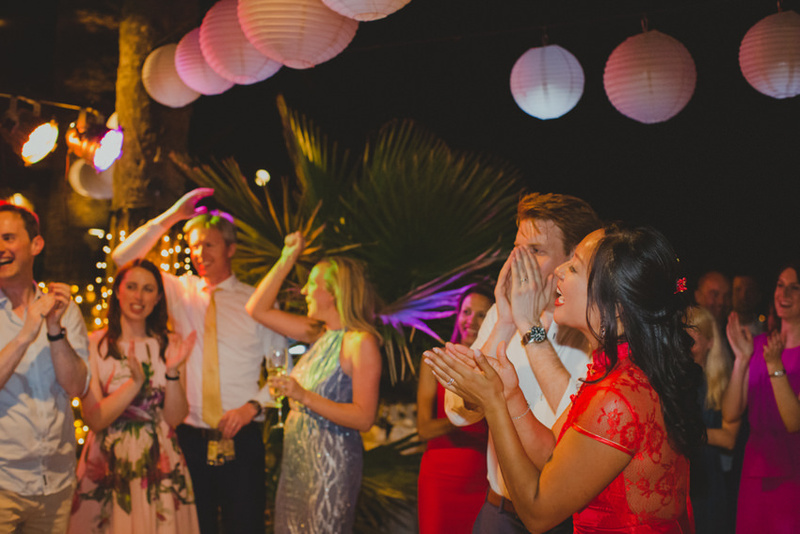 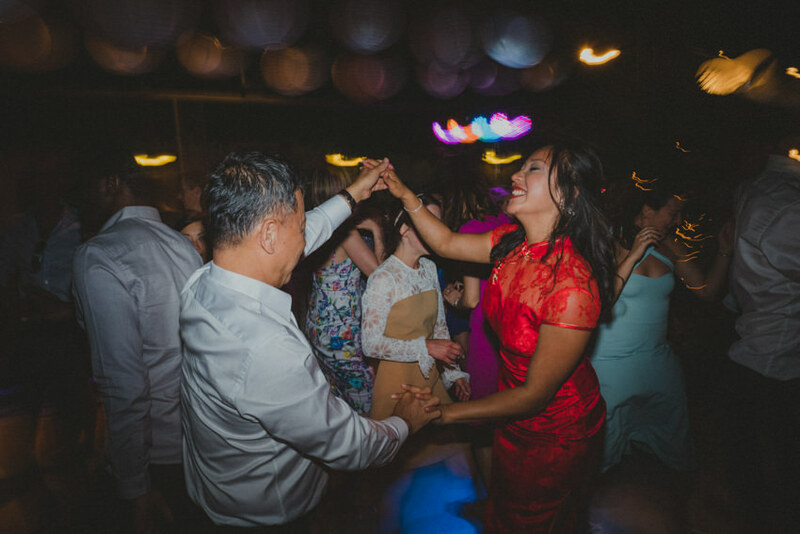 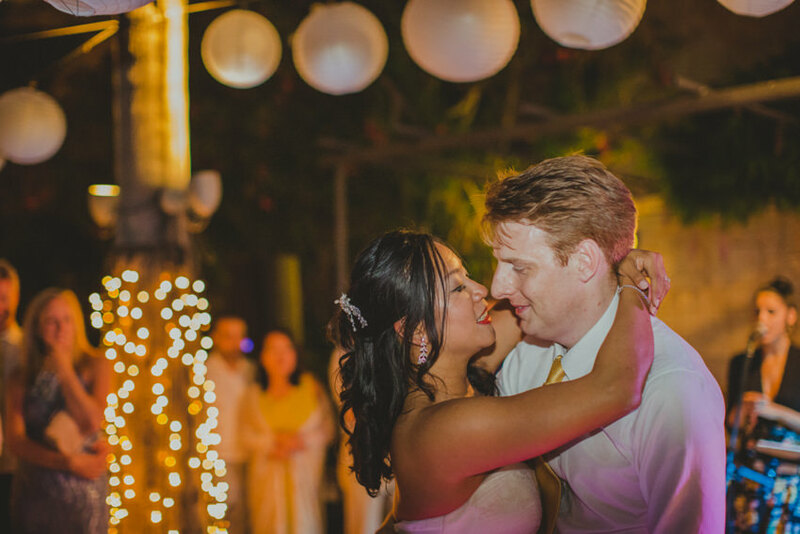 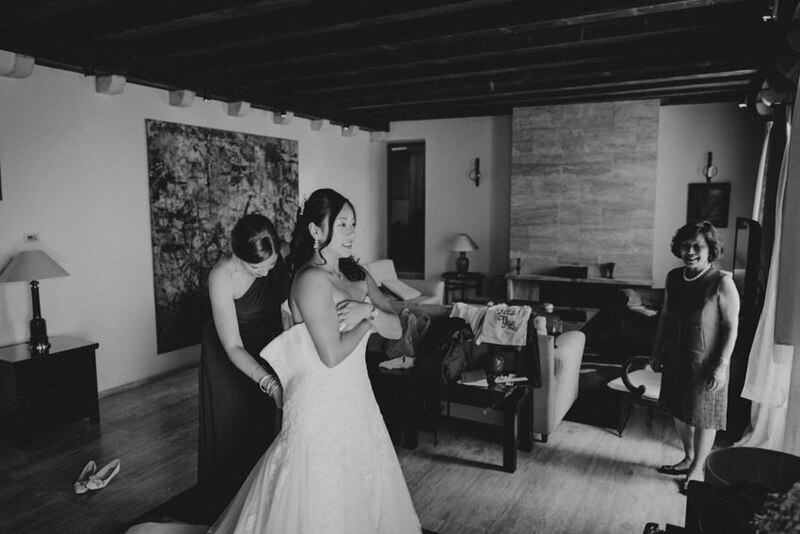 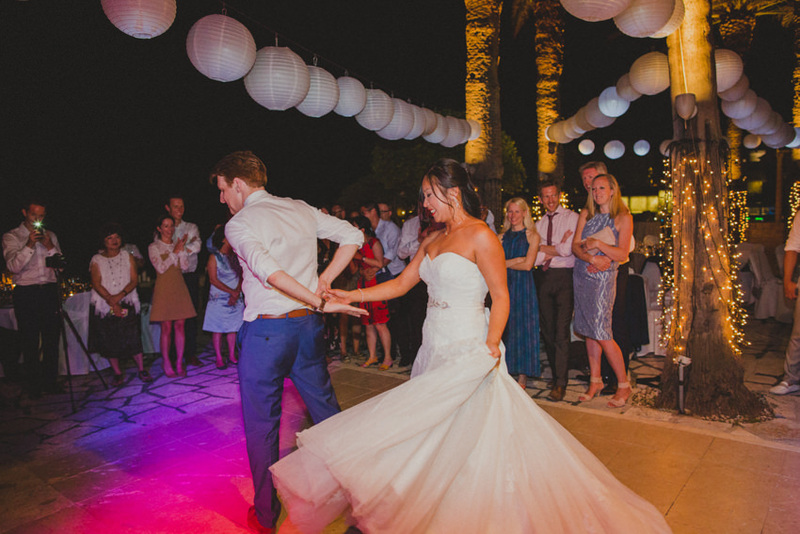 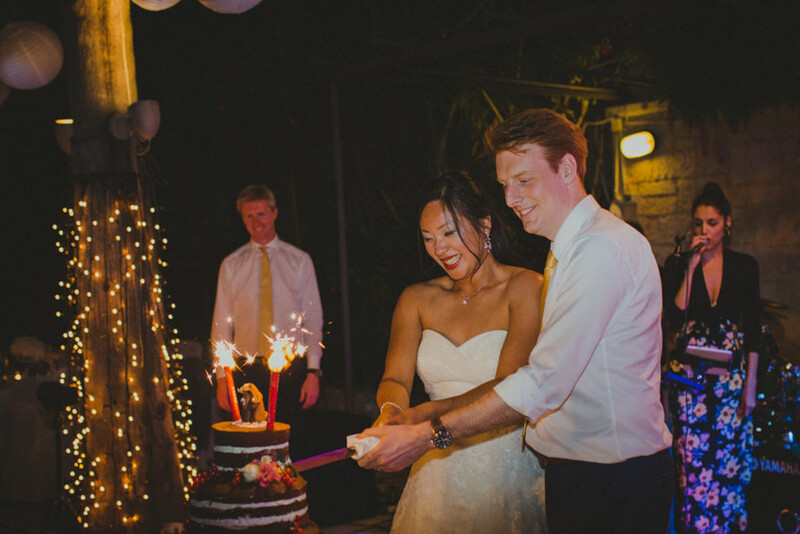 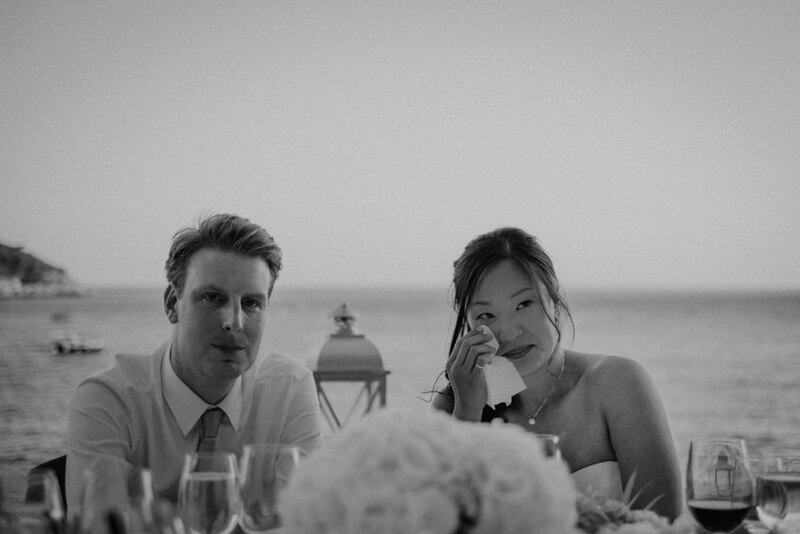 Imogen and Norman’s wedding was one of those eye-candy weddings where everything was stunning from top to bottom. 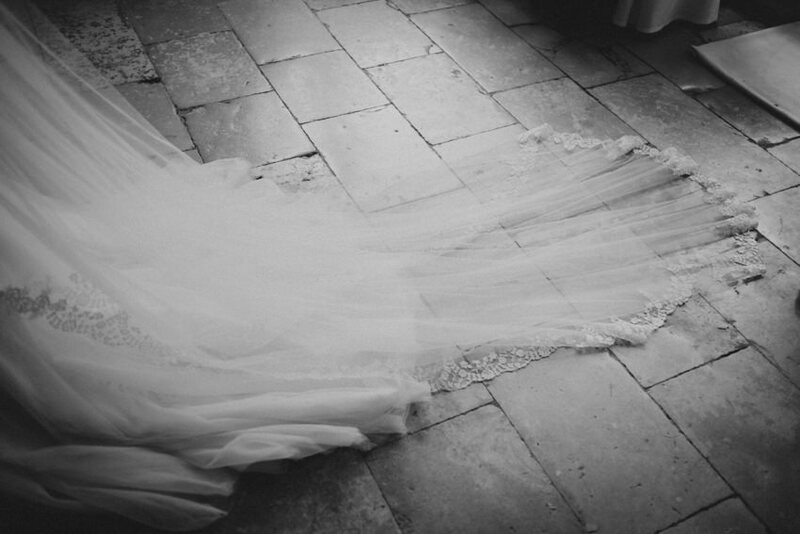 Let’s start with Imogen and her dresses. 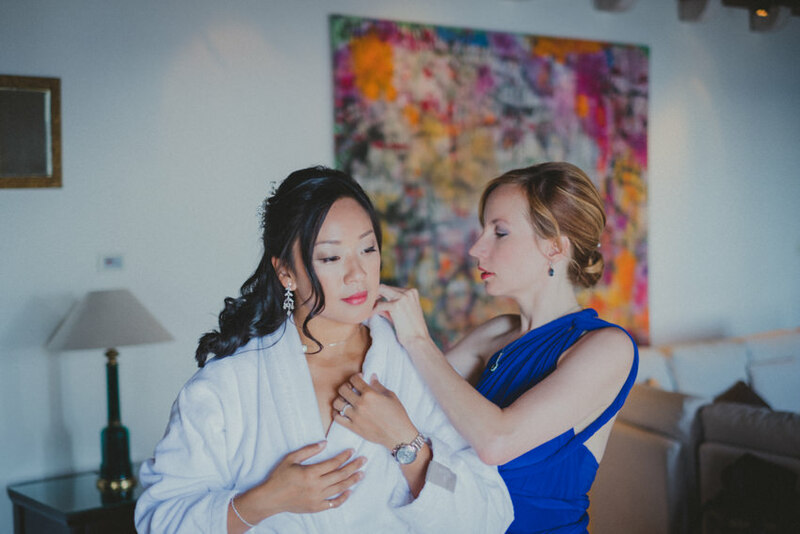 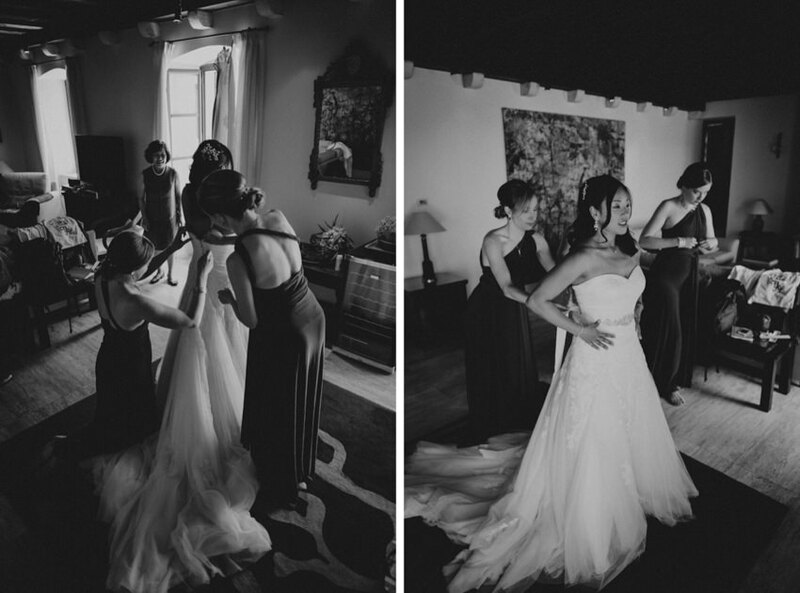 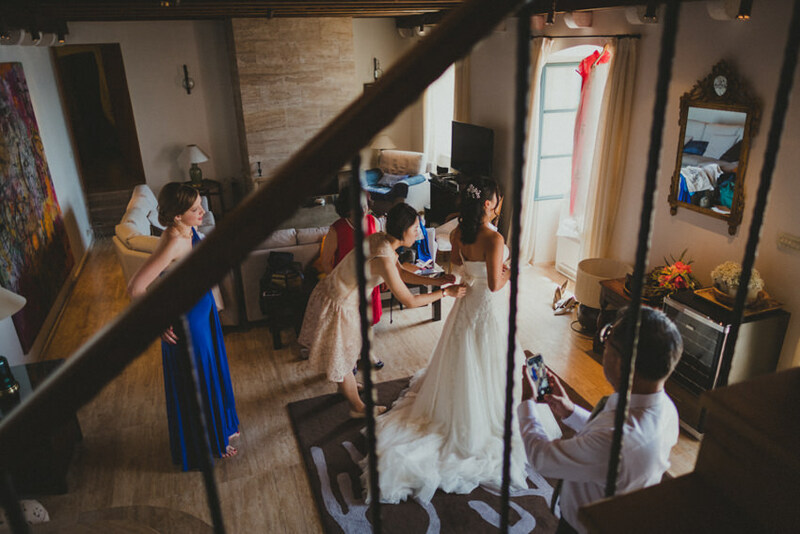 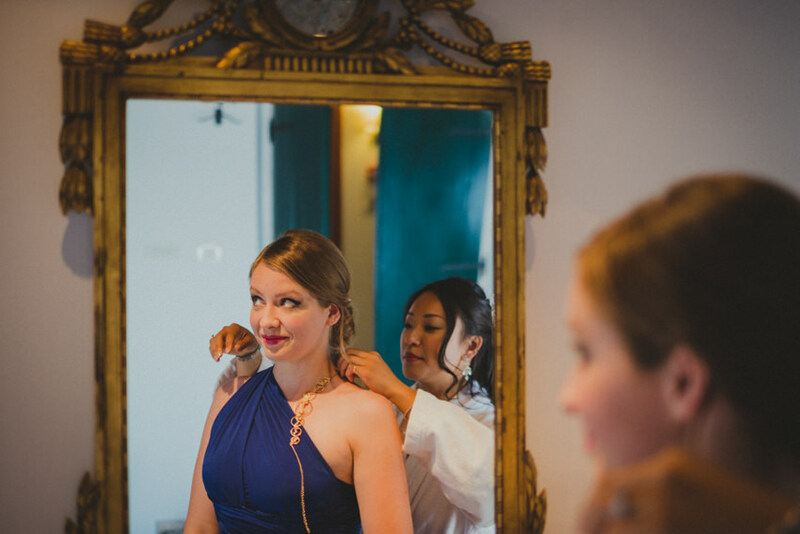 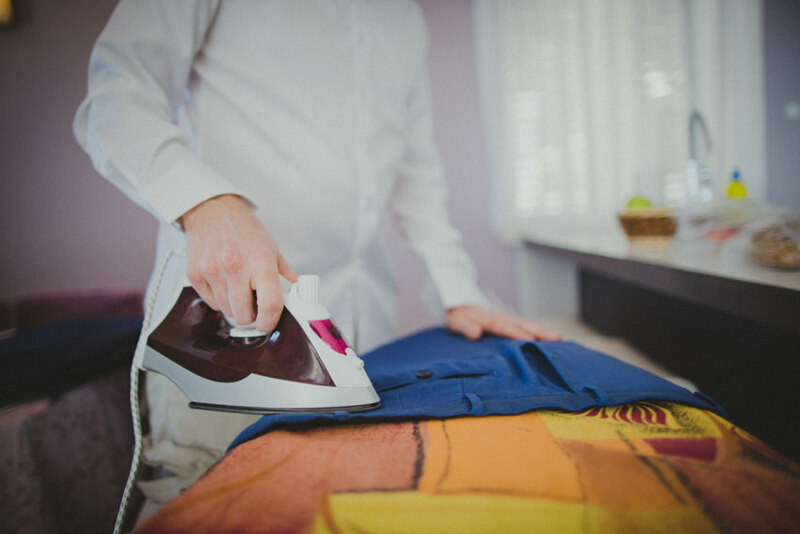 That’s right — she had two — a somewhat relaxed traditional Taiwanese requirement of having three dresses, three hairdos and three sets of make-up. 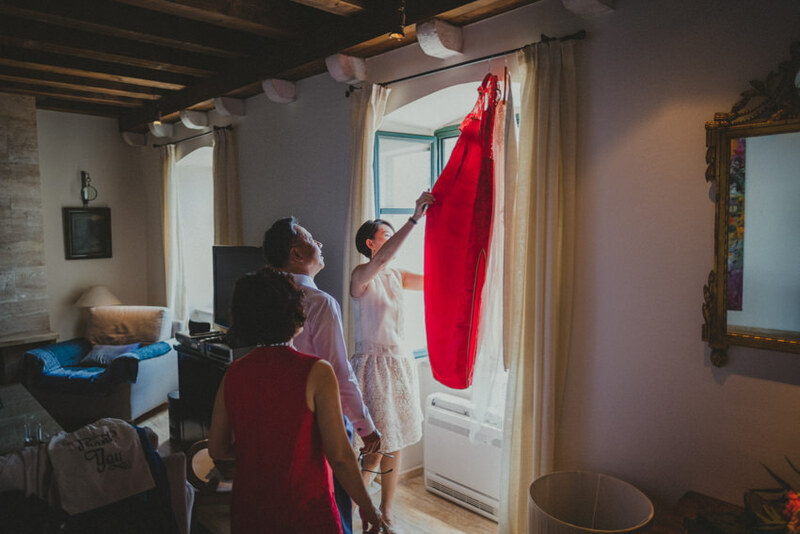 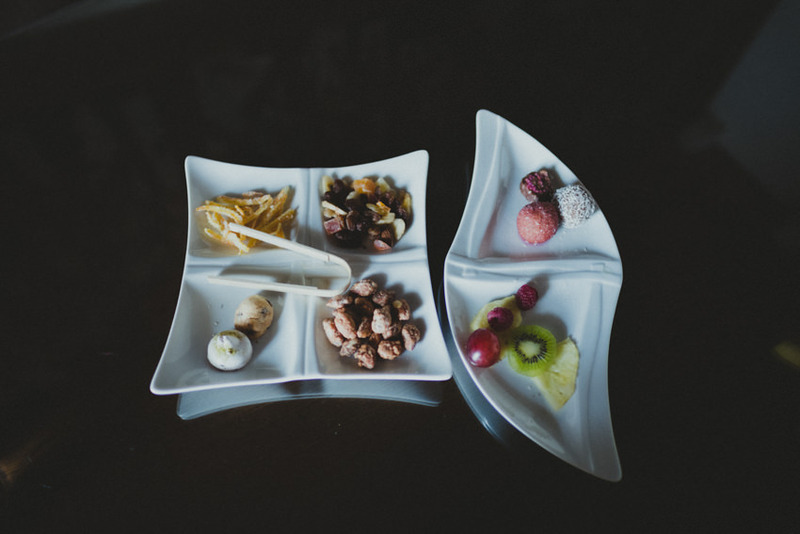 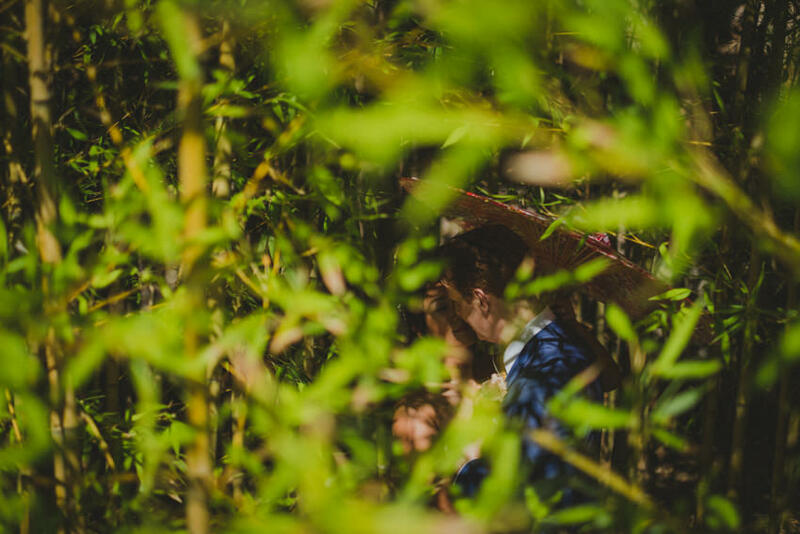 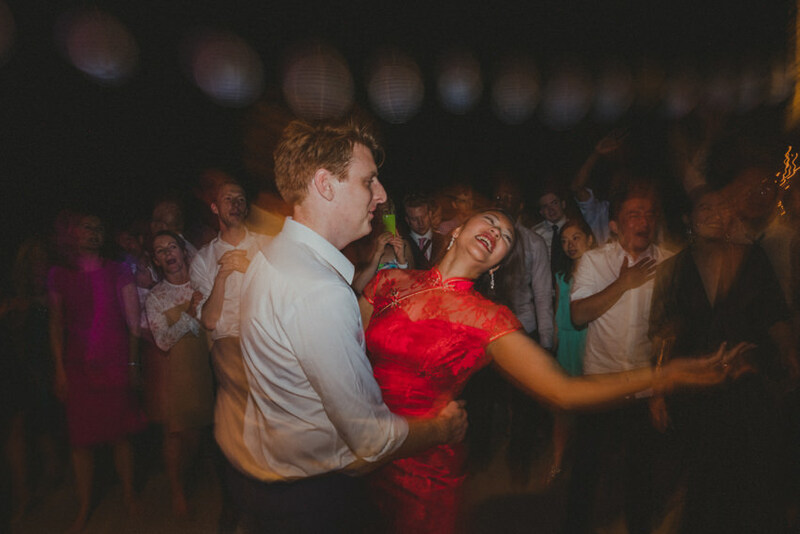 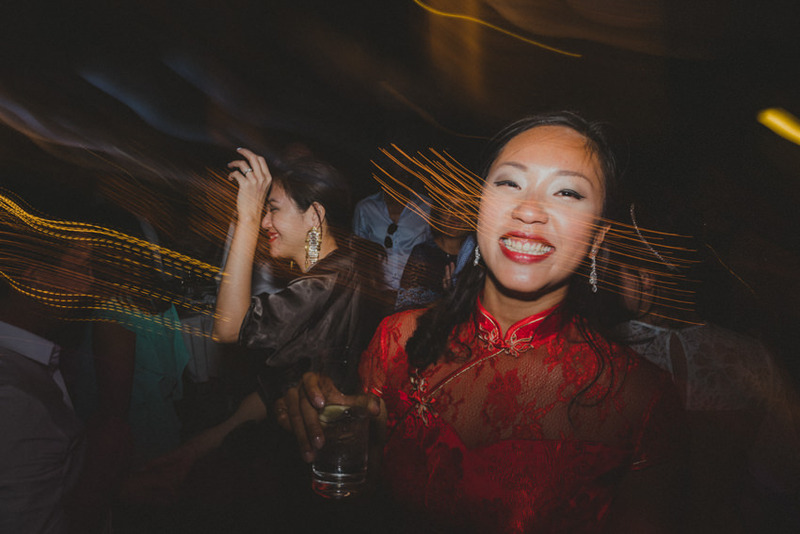 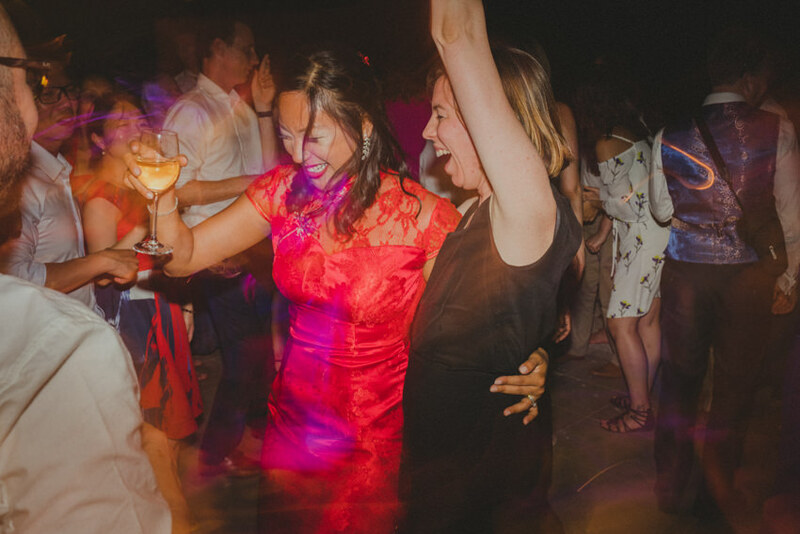 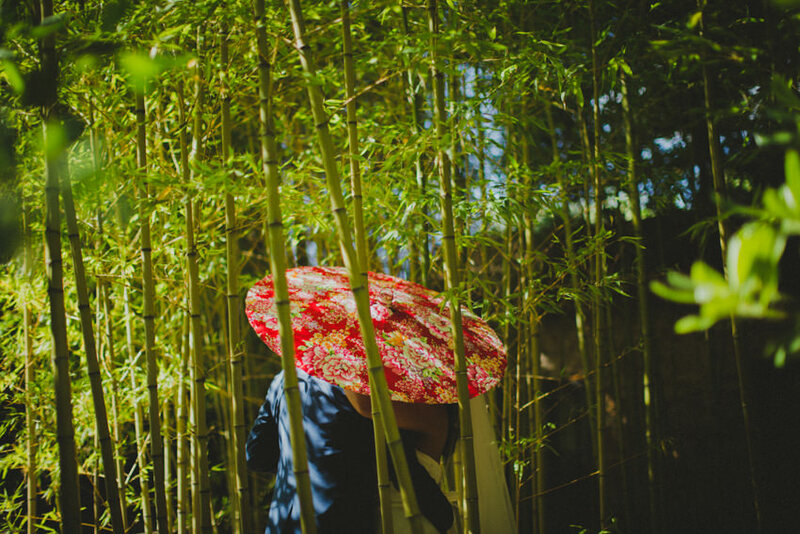 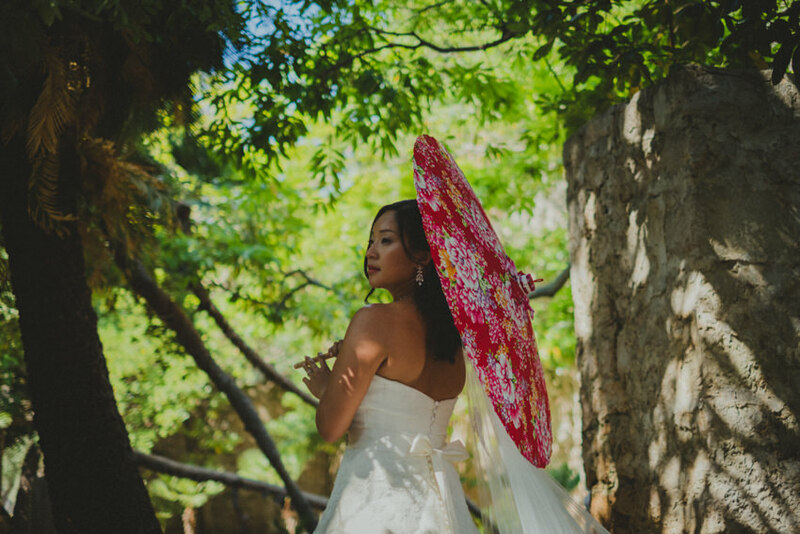 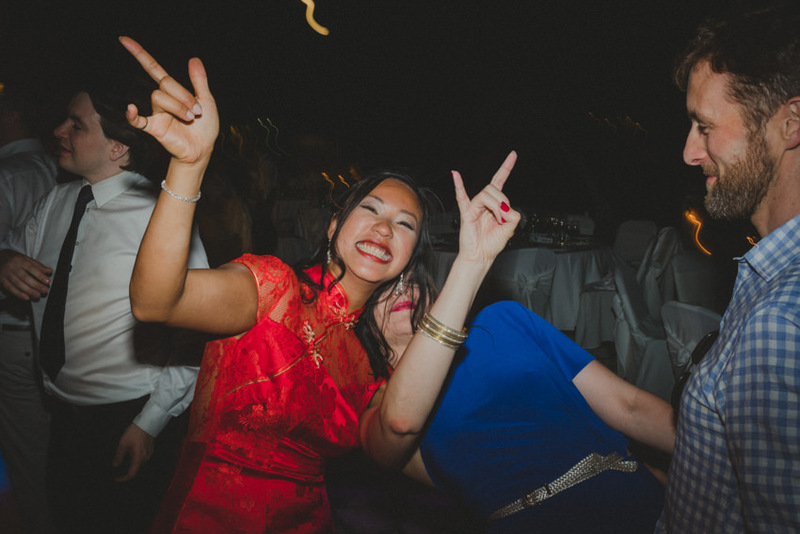 Both of them were stunning, and we particularly liked how contrasting they were: a rich, lush white wedding dress with a long train, and afterwards, a bright red, slim and perfectly tailored dress with Chinese motifs and golden details. 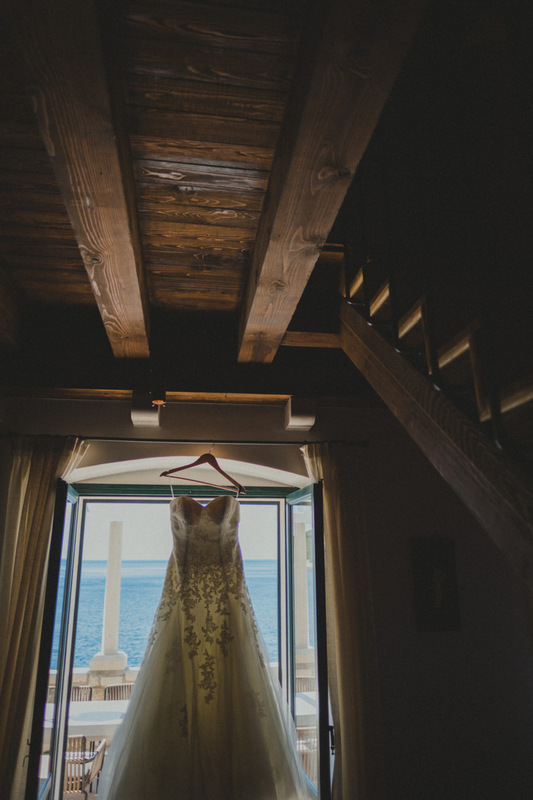 I’m no dress expert, but I know beauty when I see it, and I’ve seen it twice on this day! 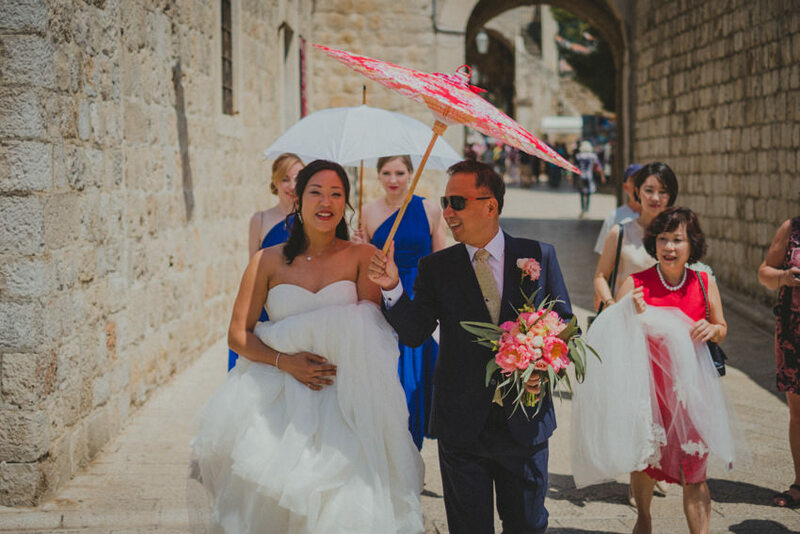 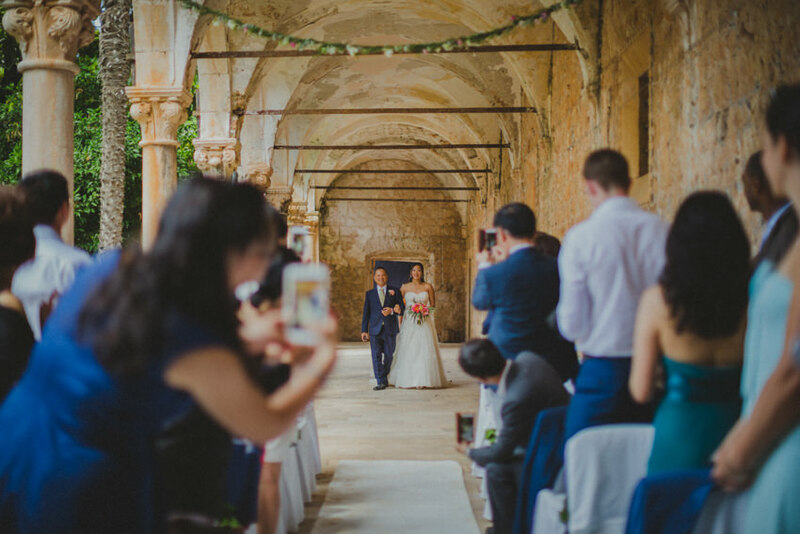 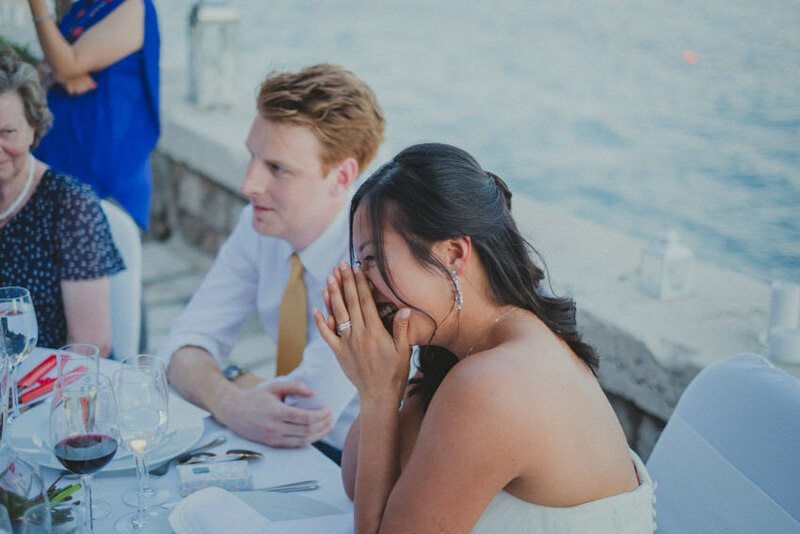 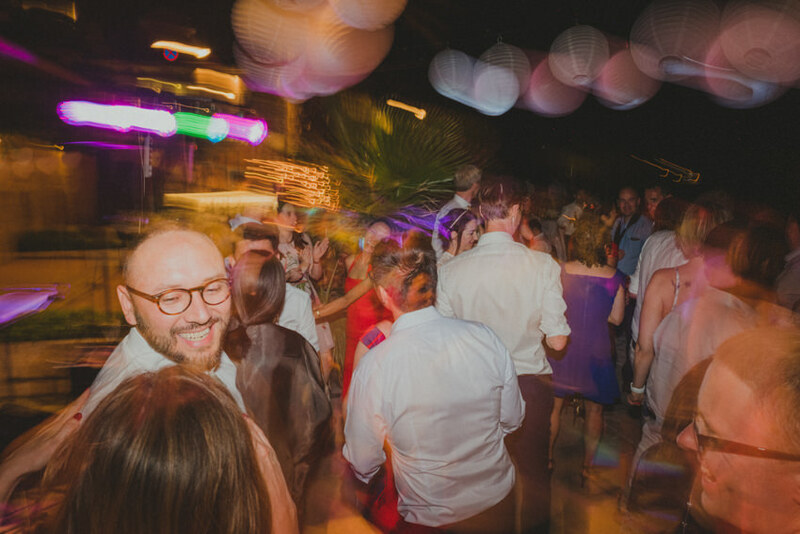 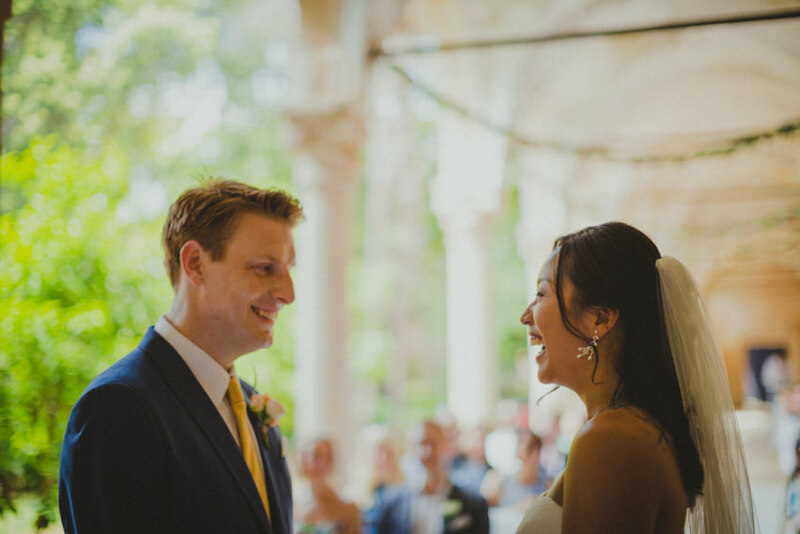 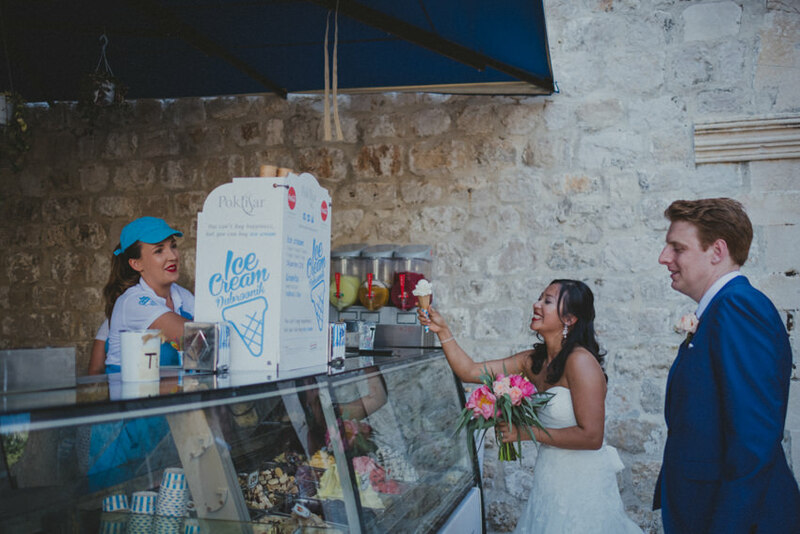 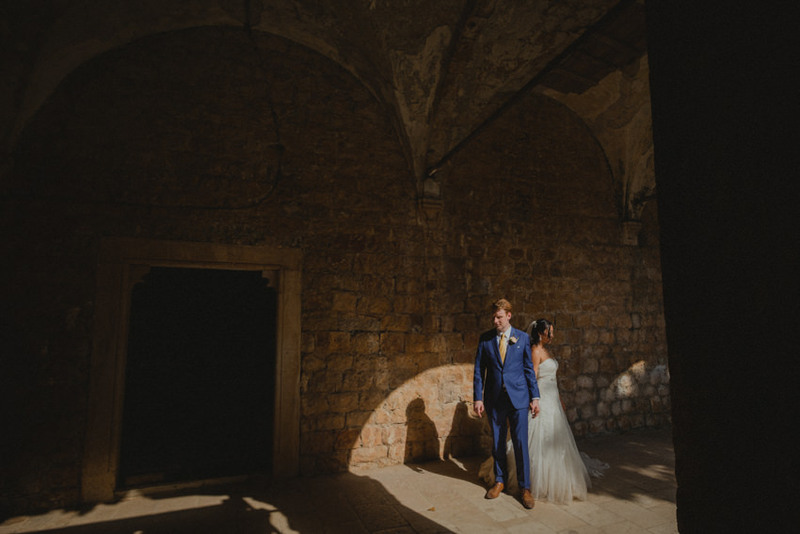 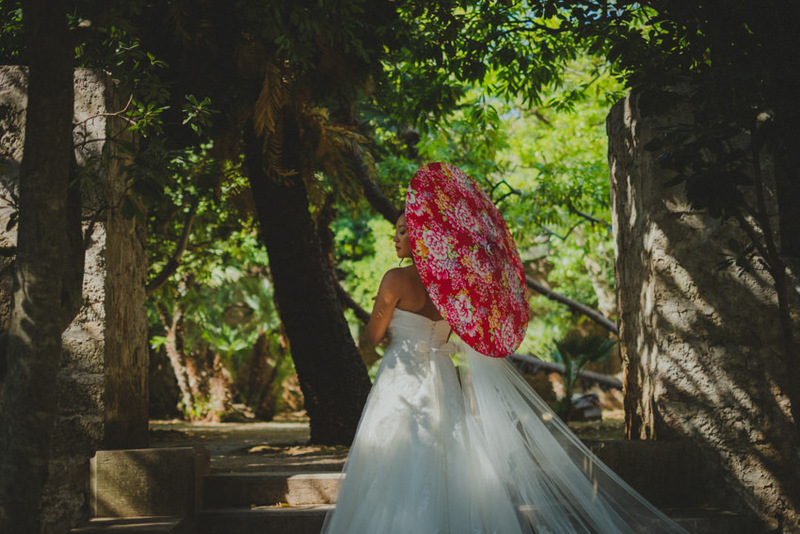 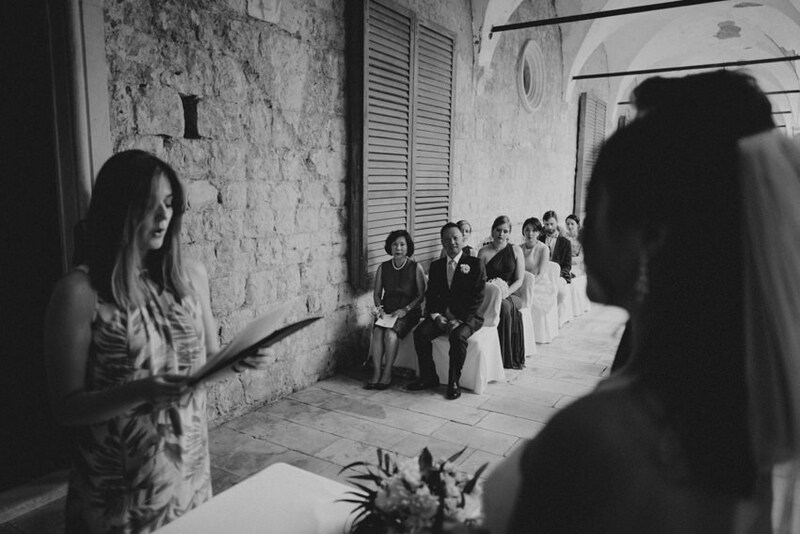 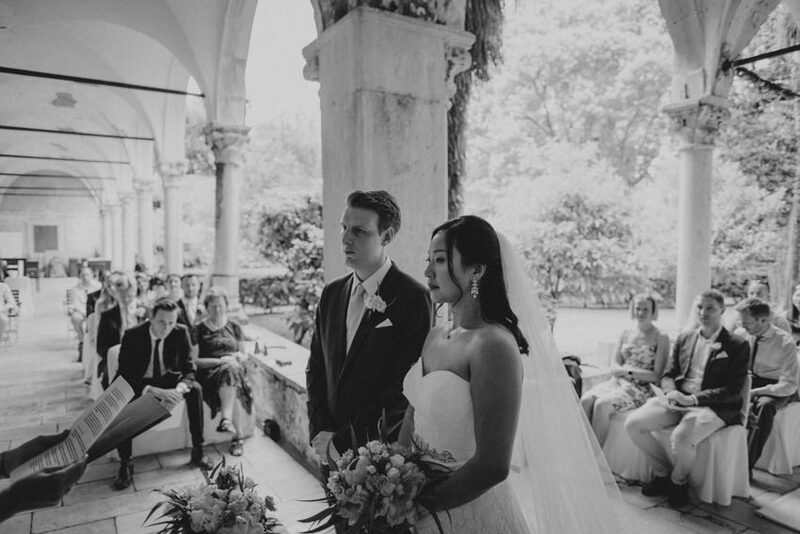 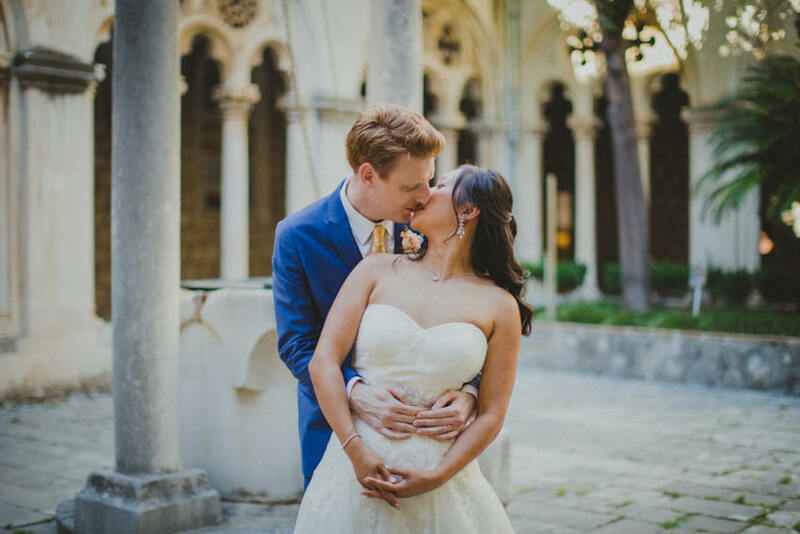 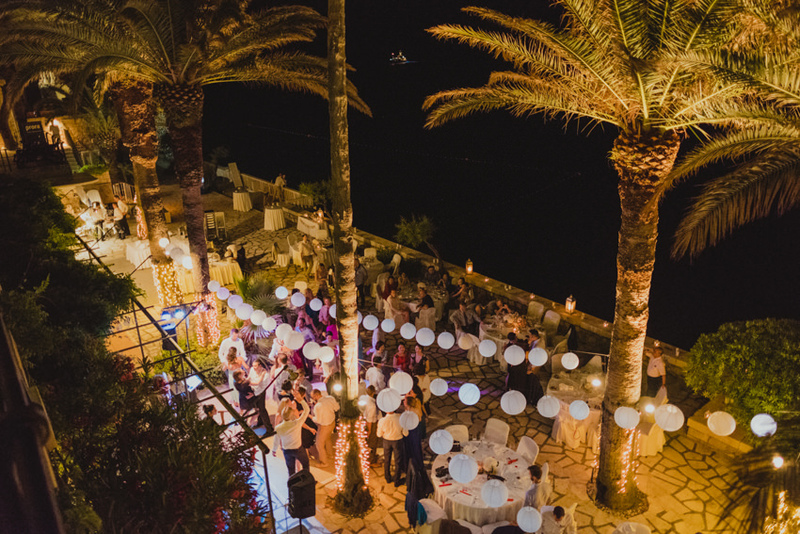 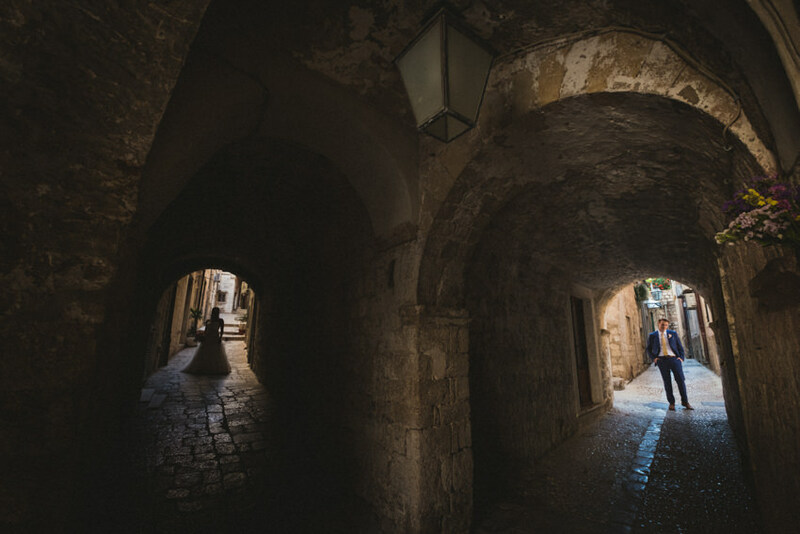 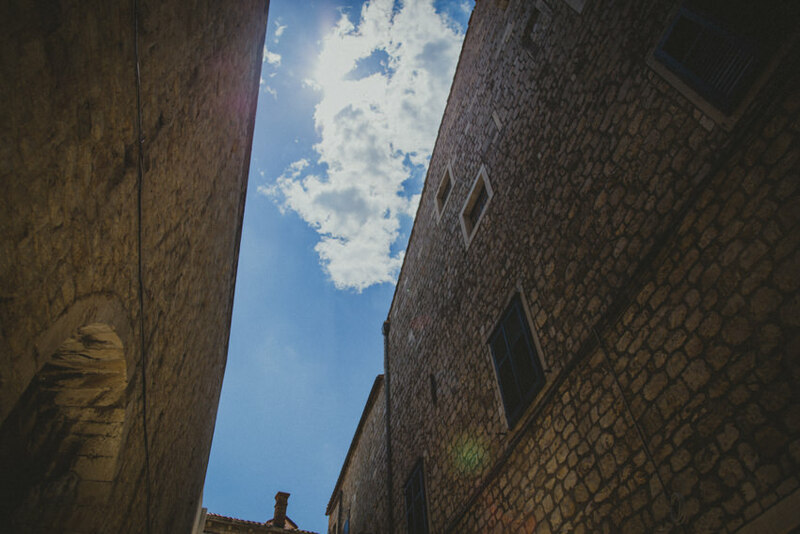 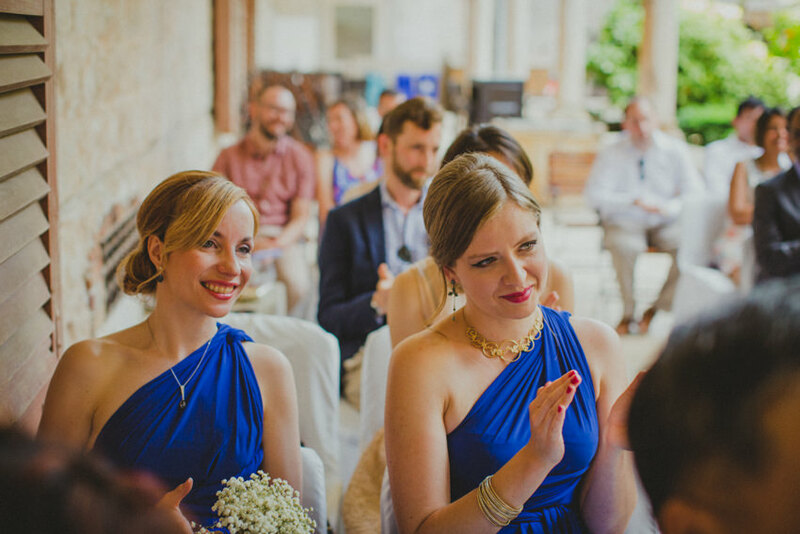 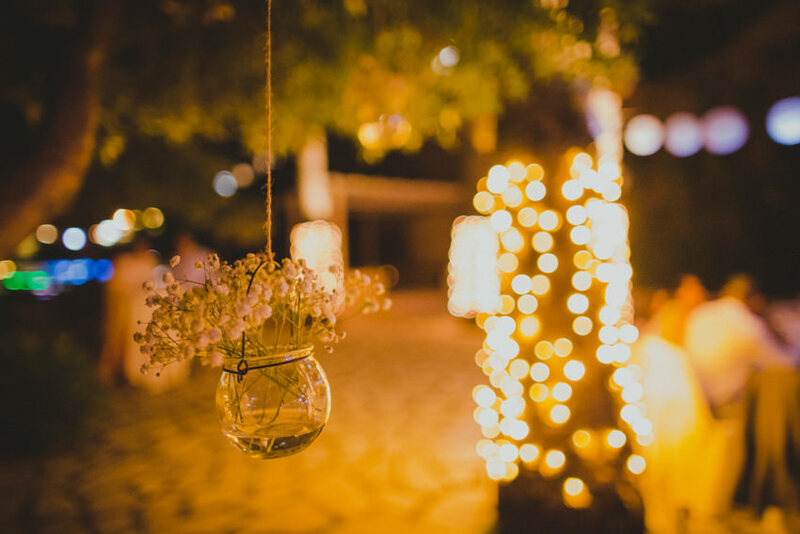 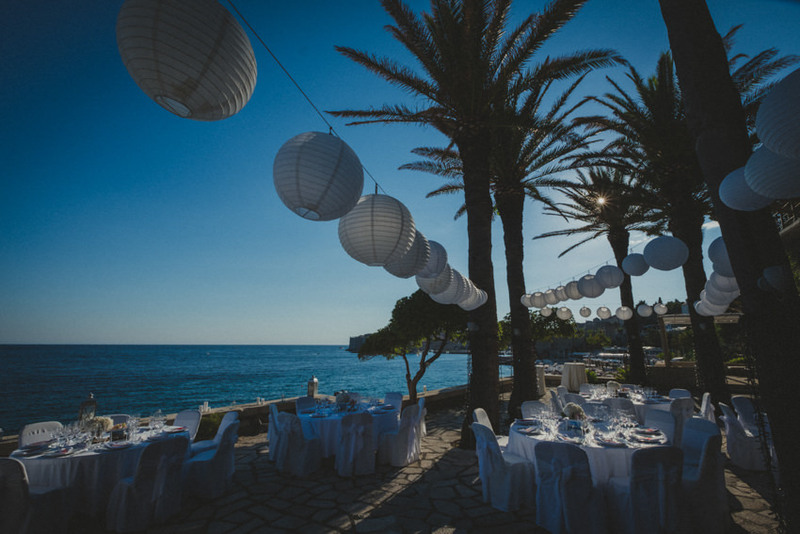 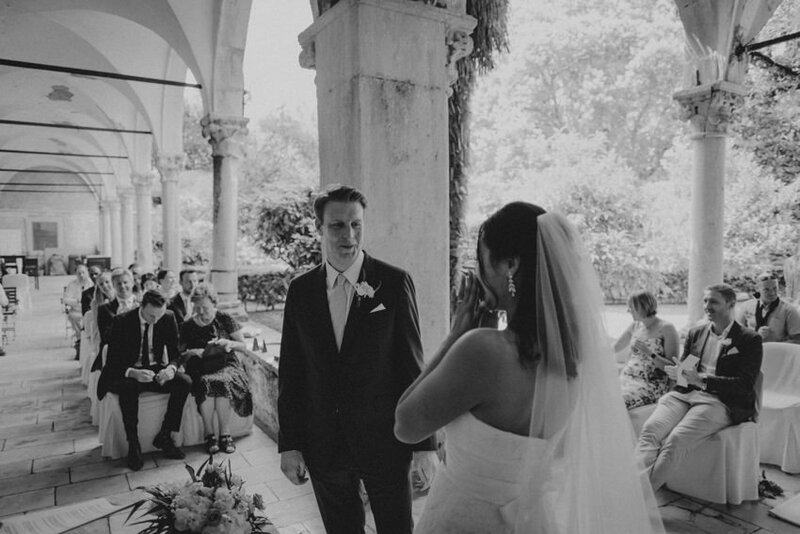 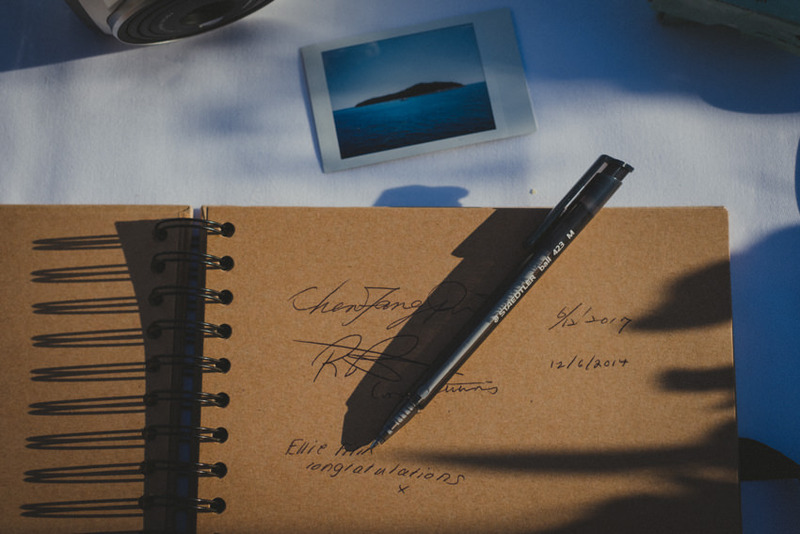 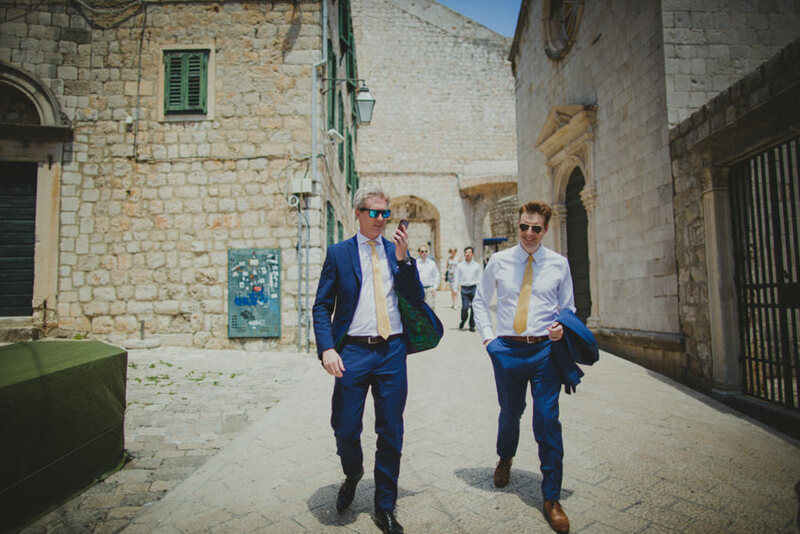 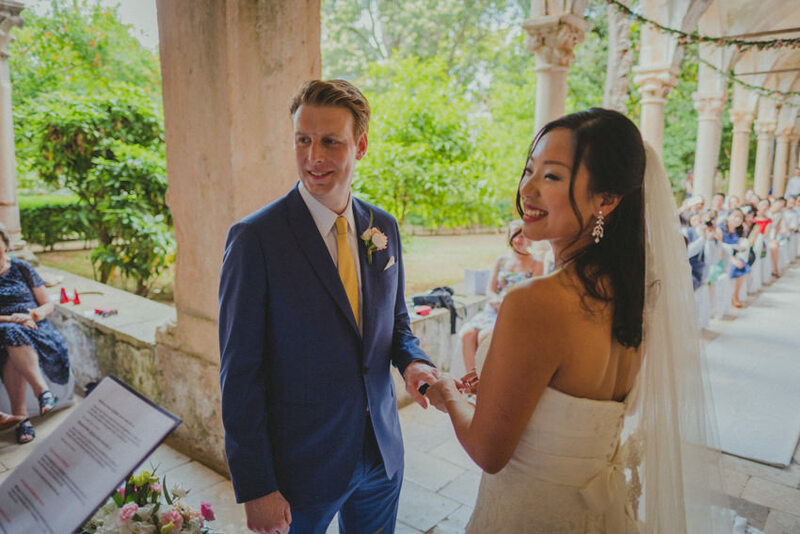 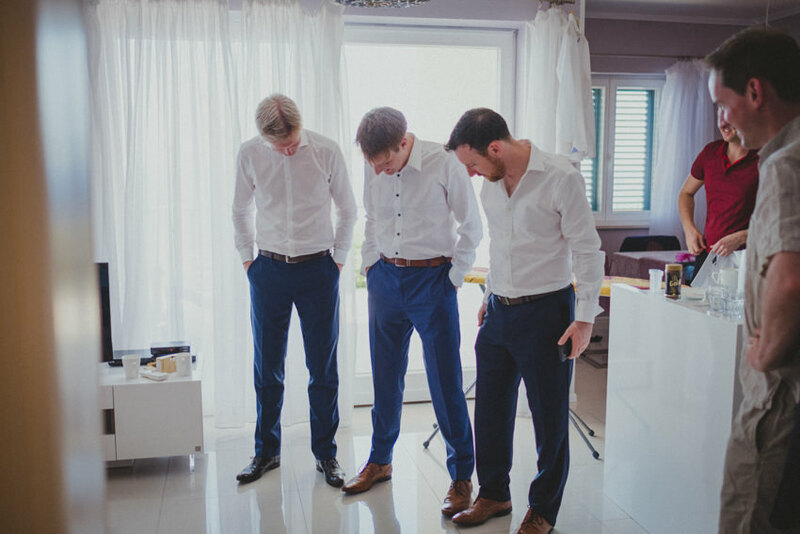 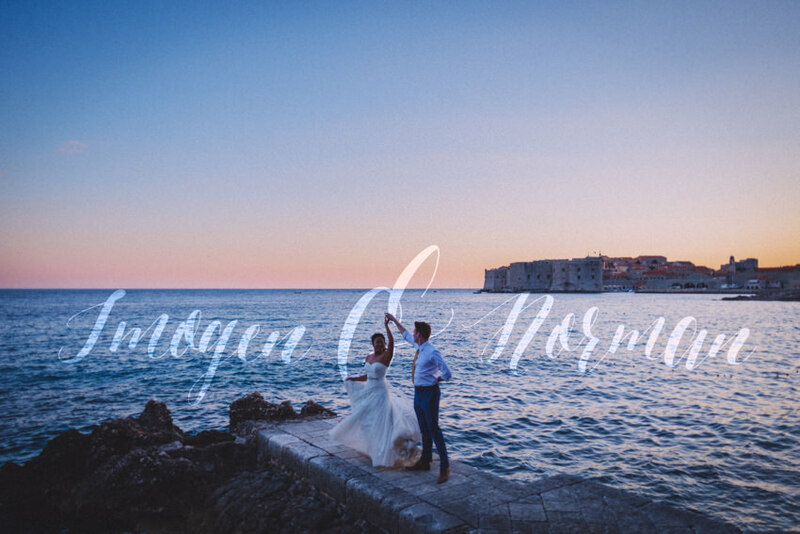 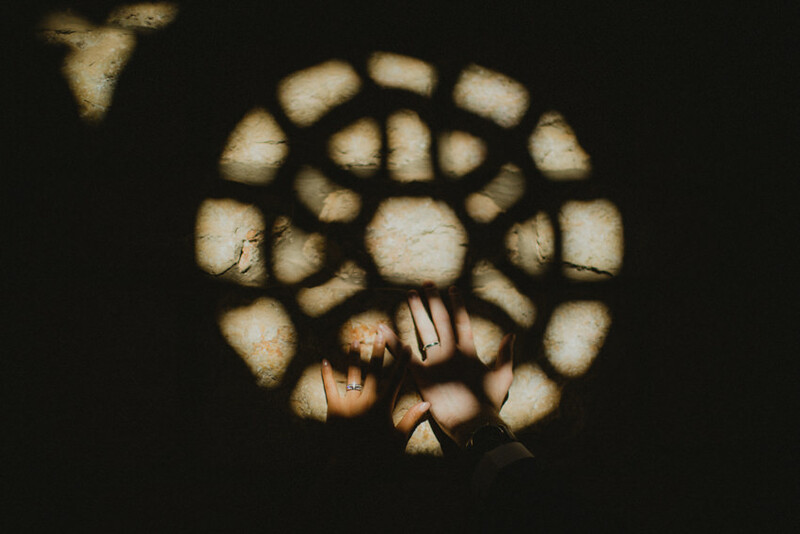 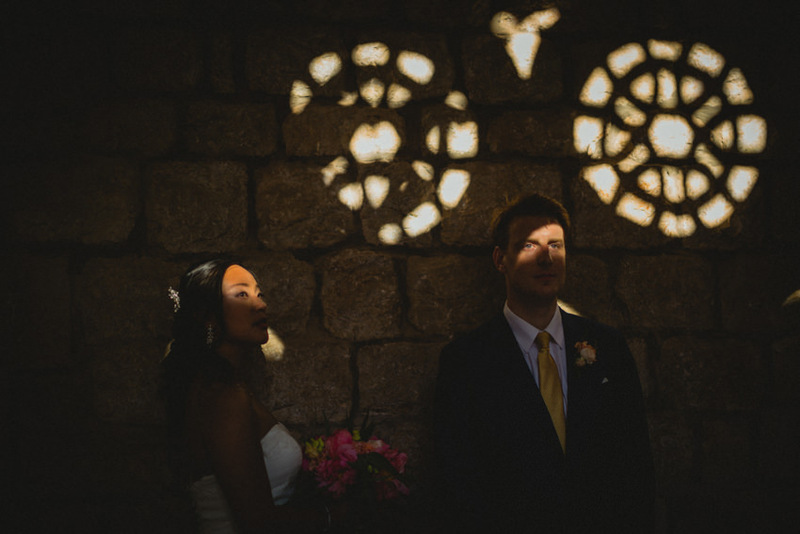 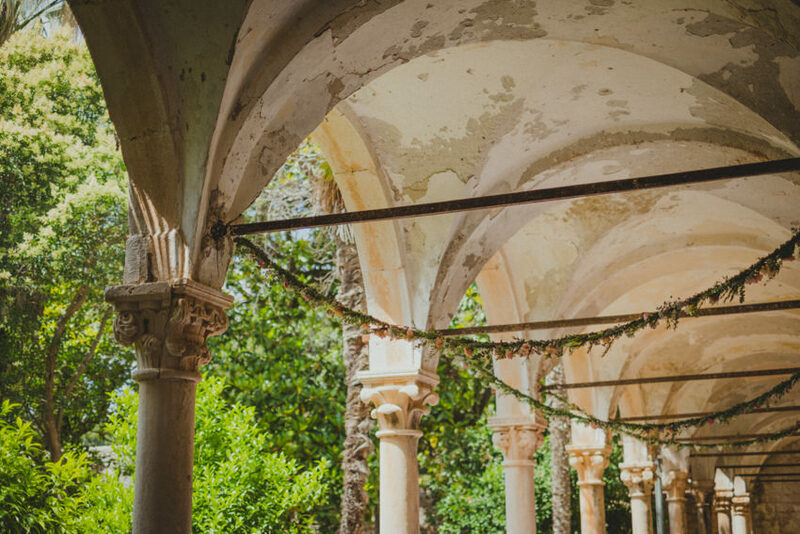 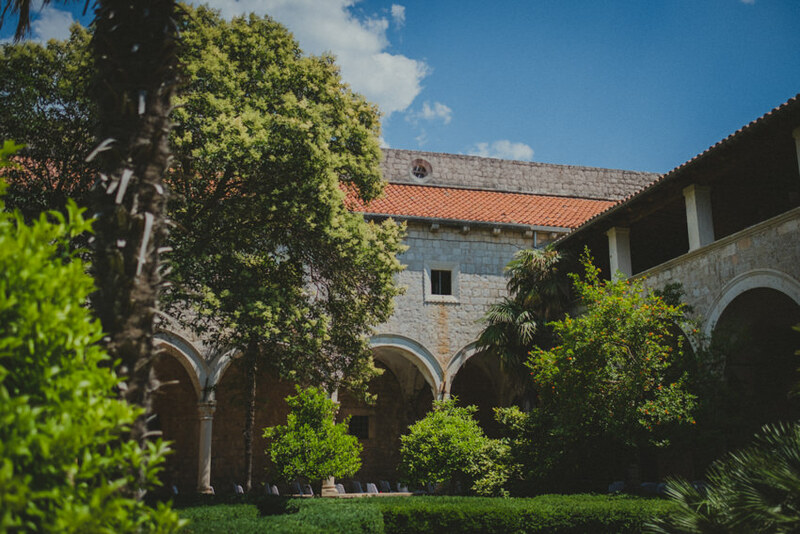 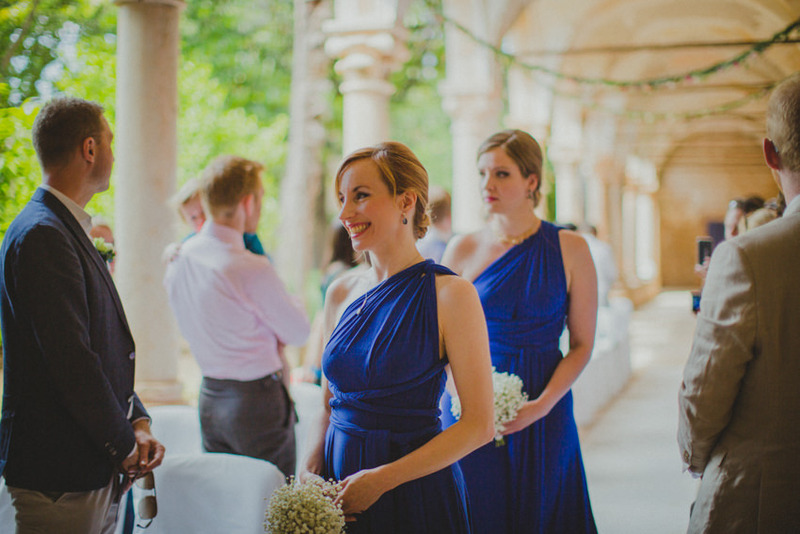 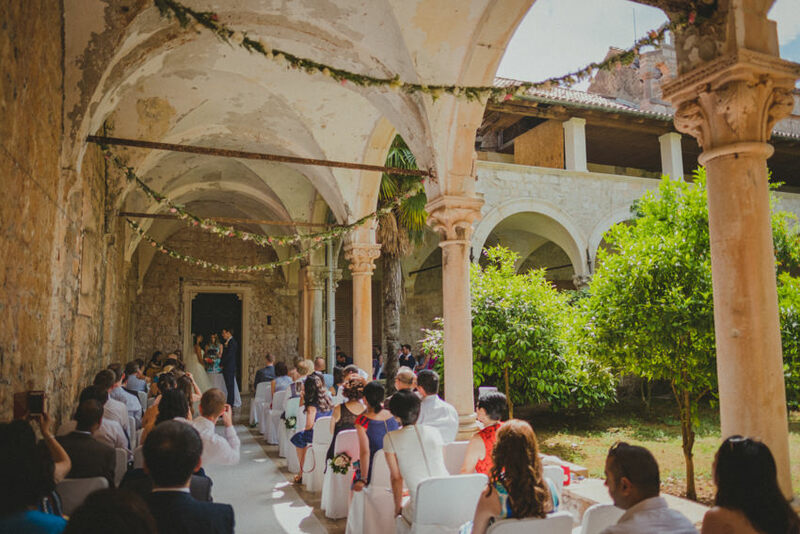 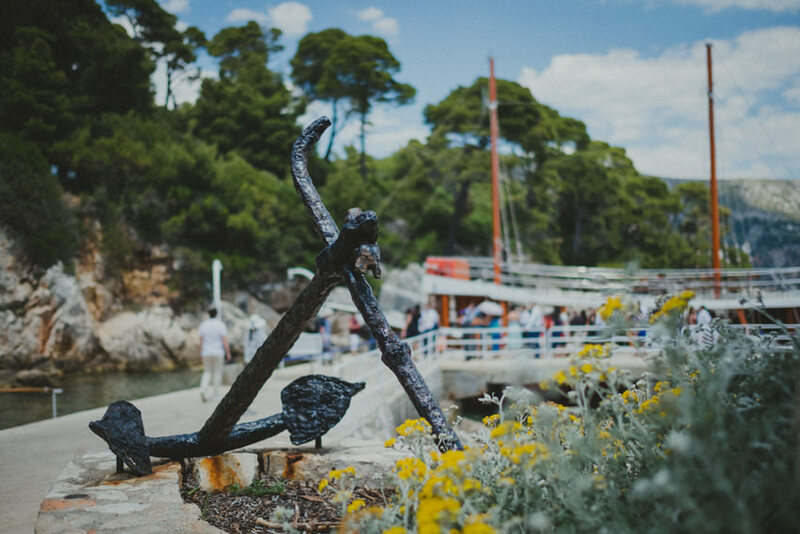 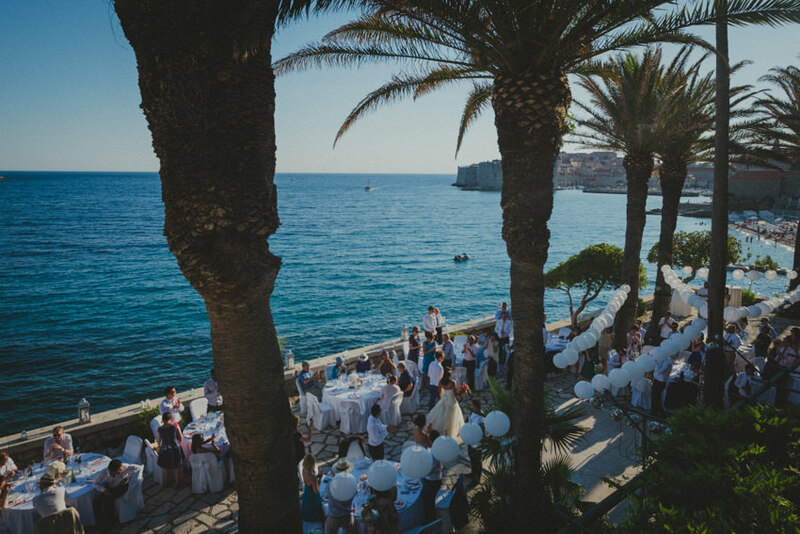 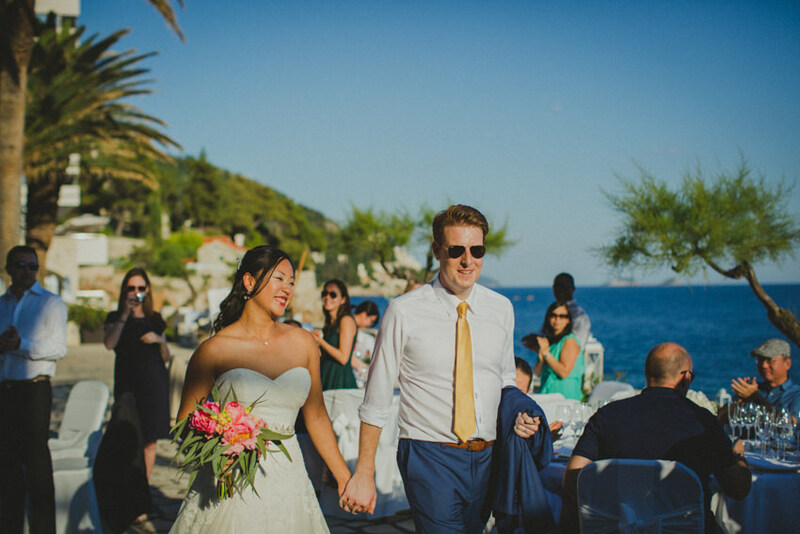 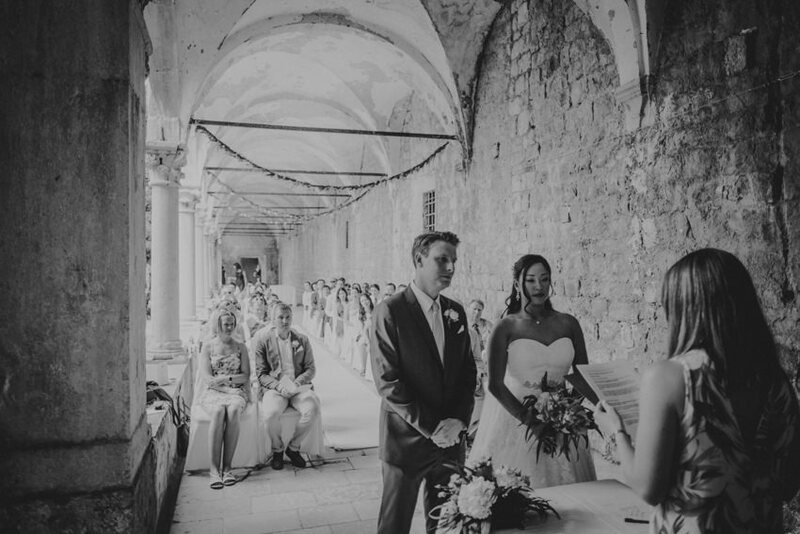 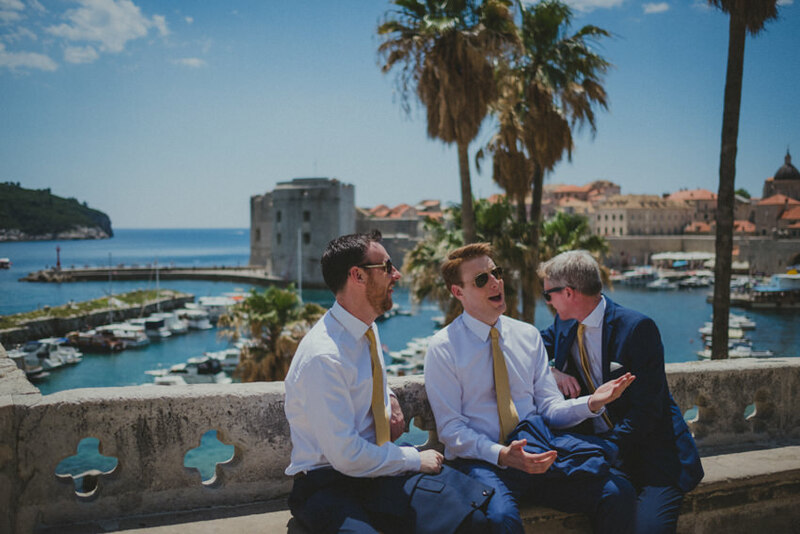 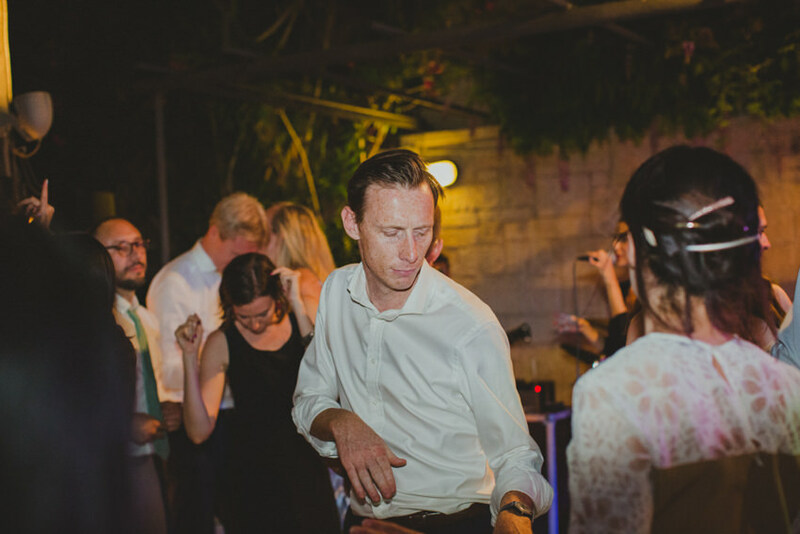 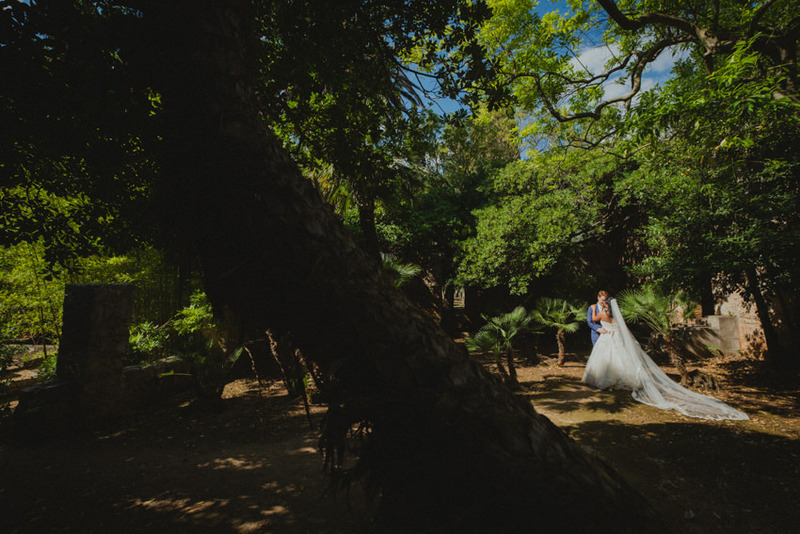 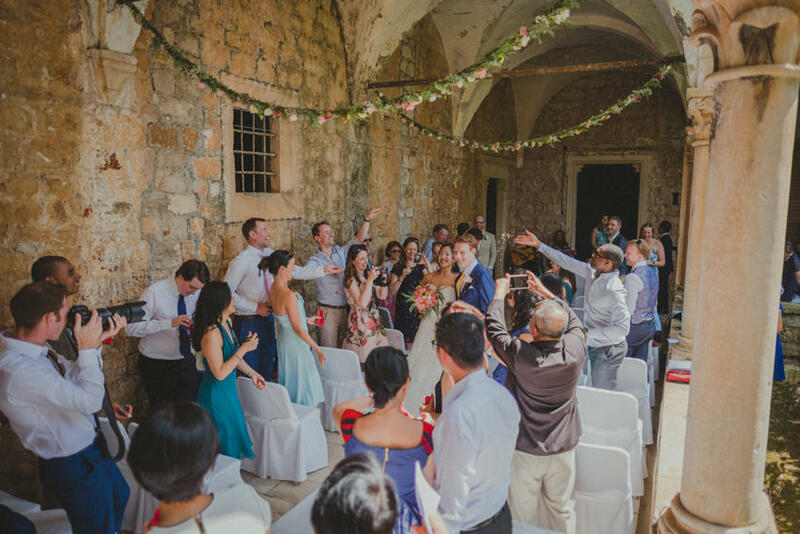 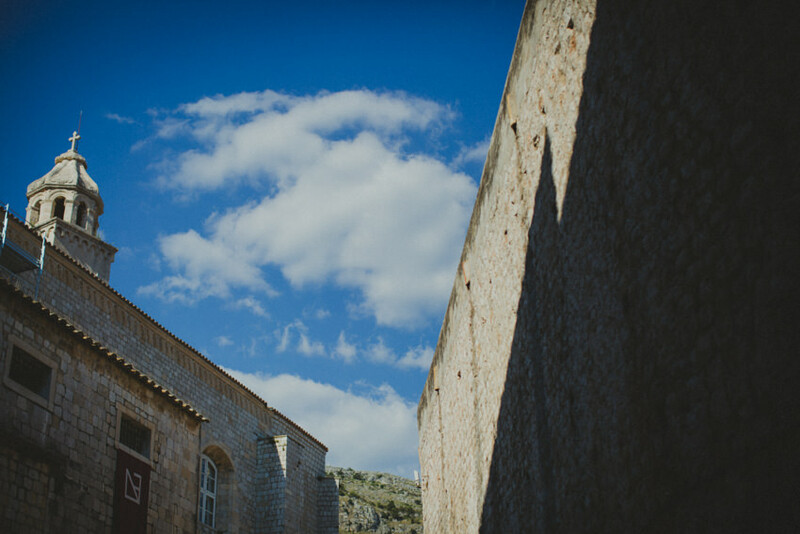 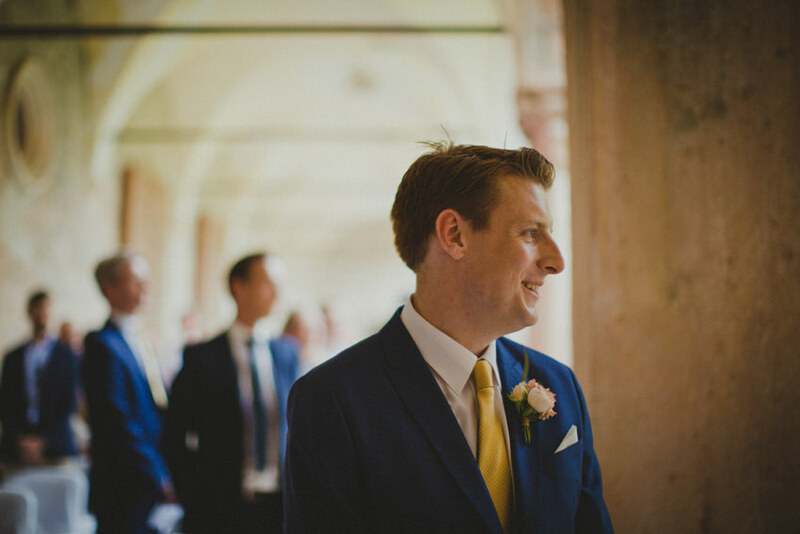 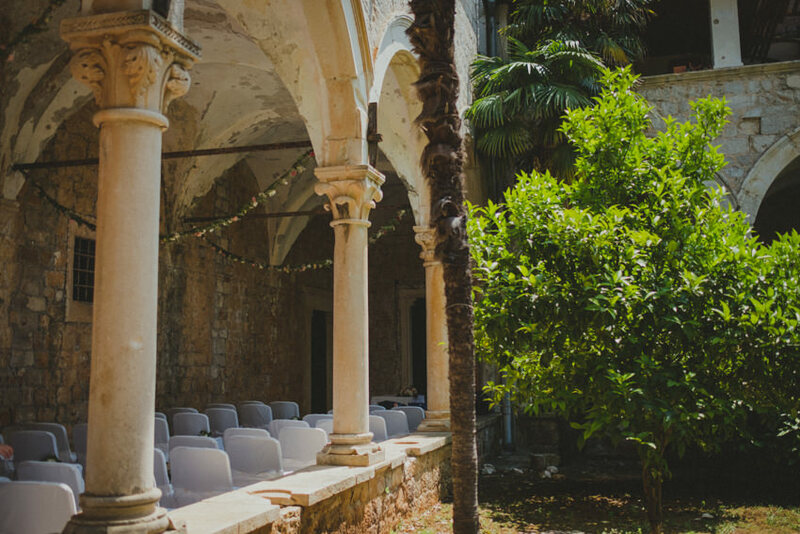 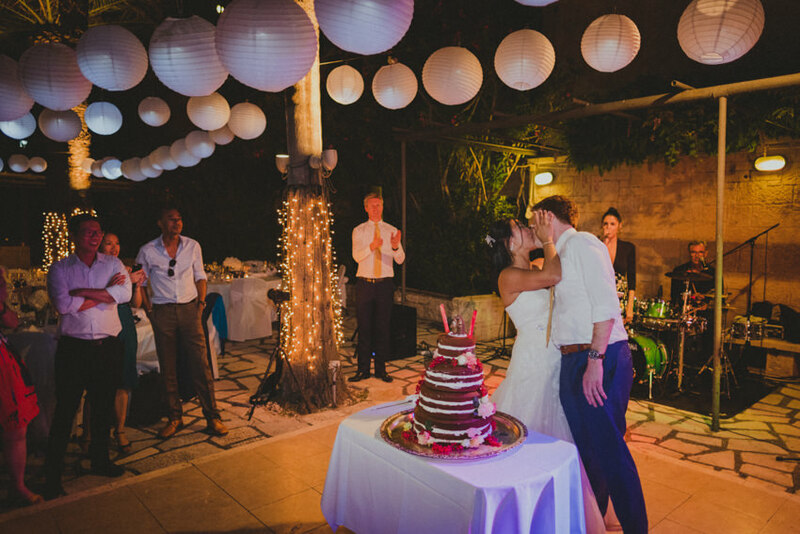 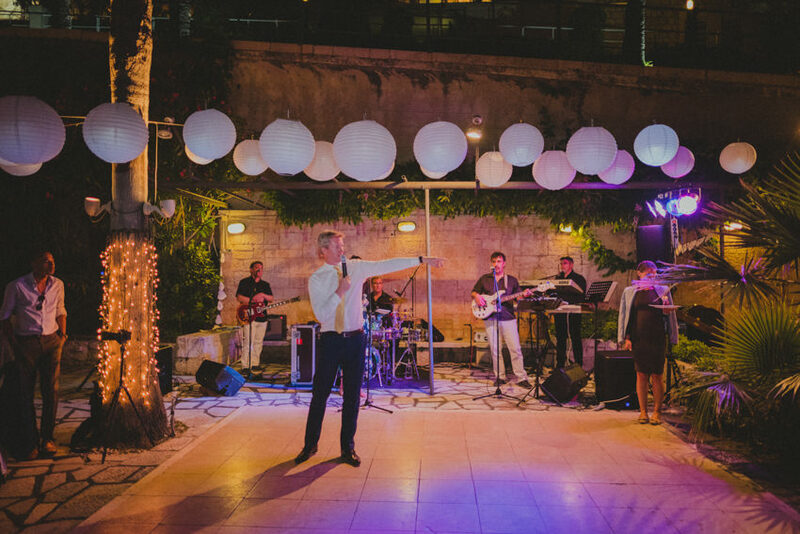 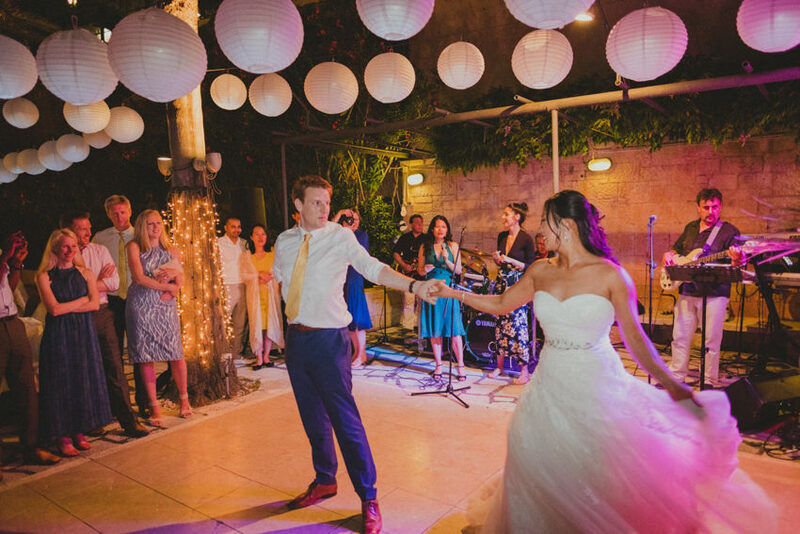 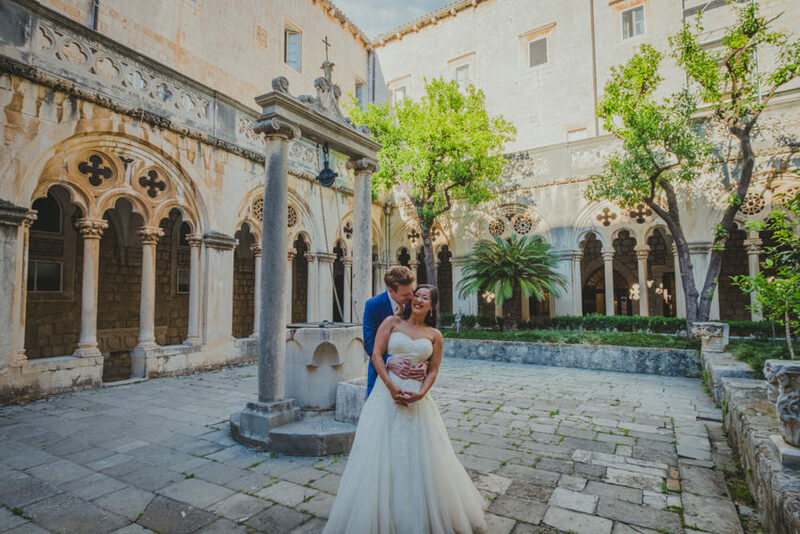 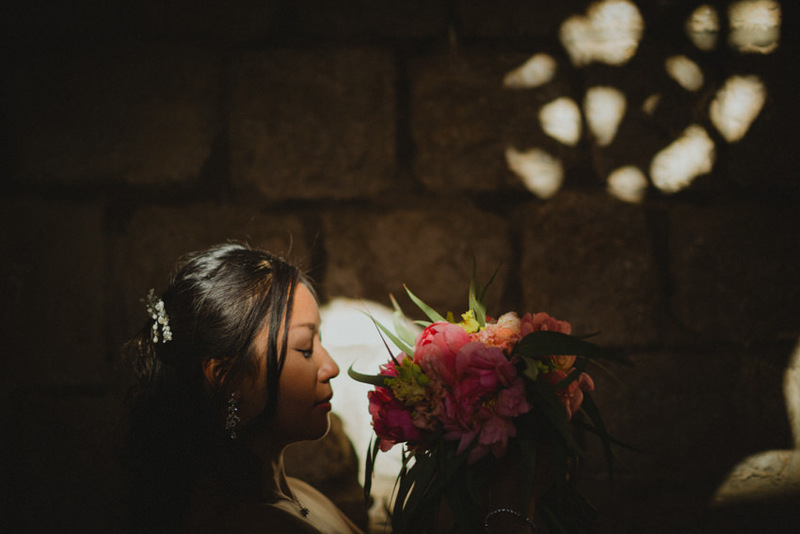 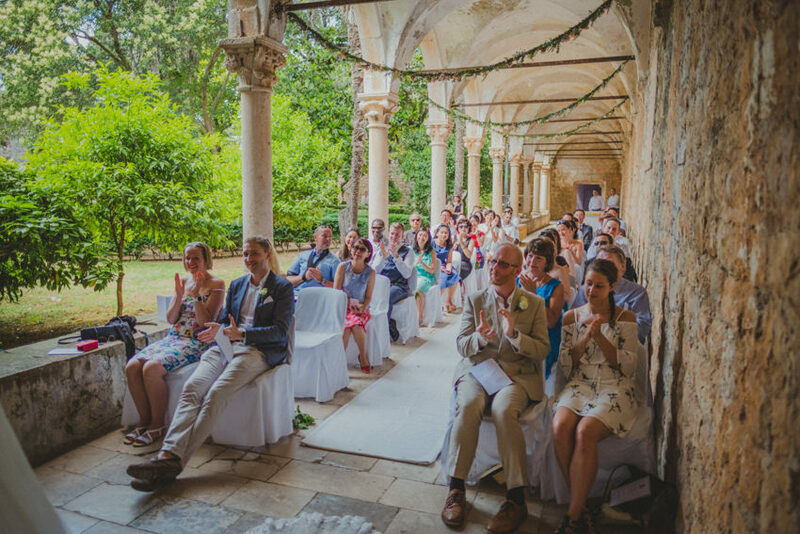 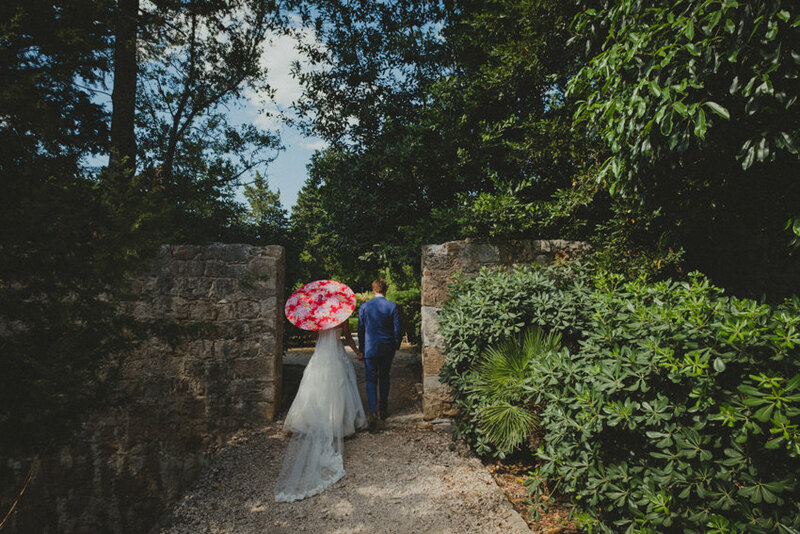 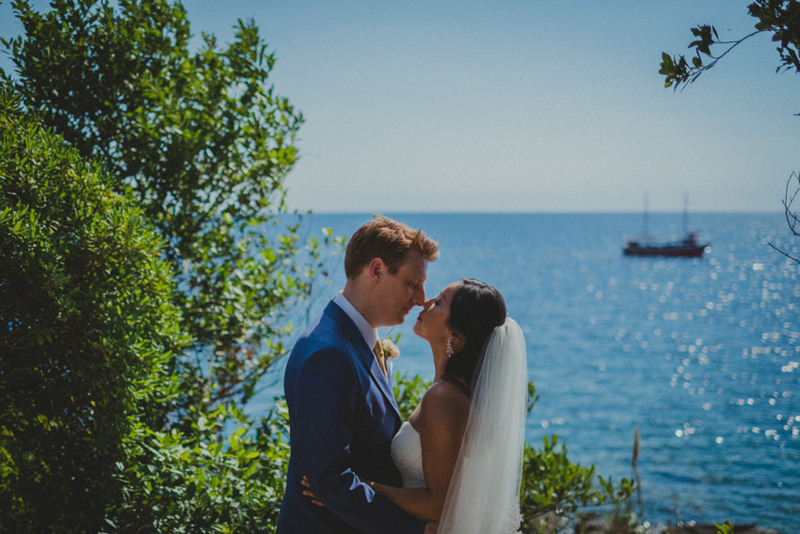 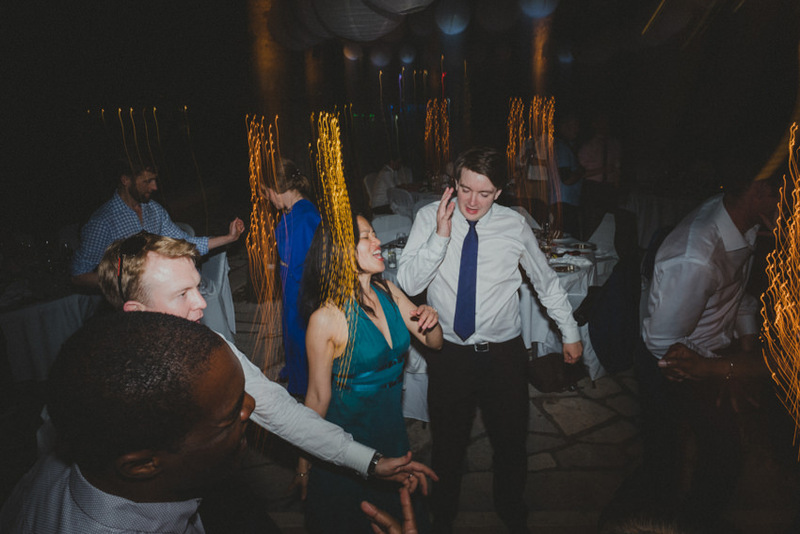 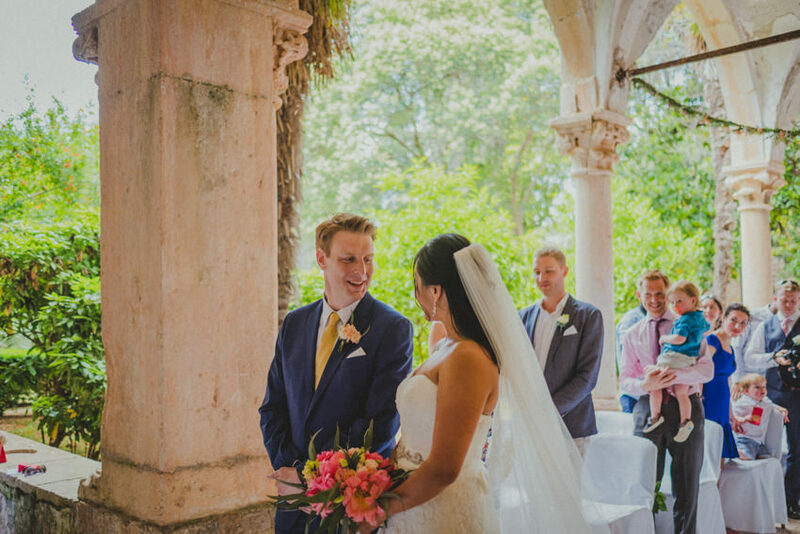 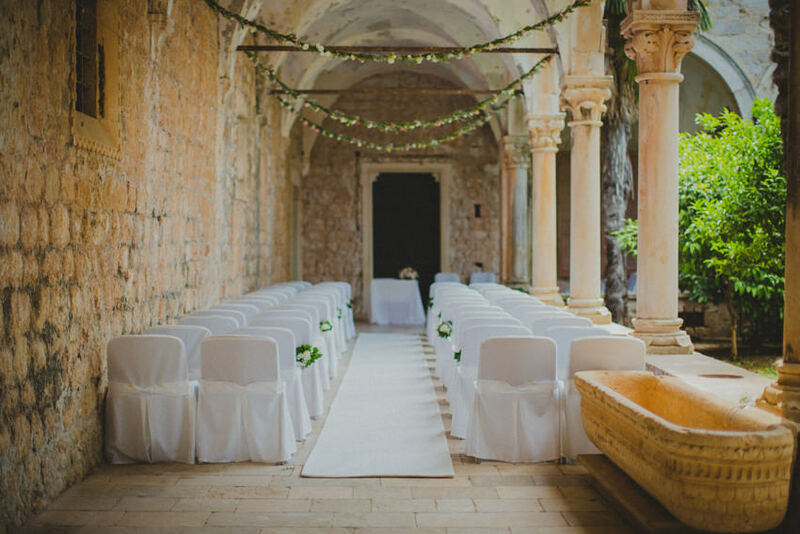 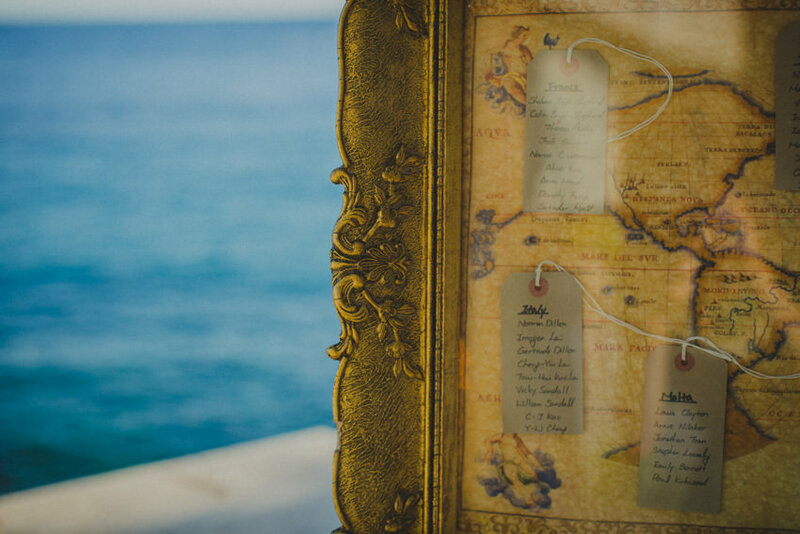 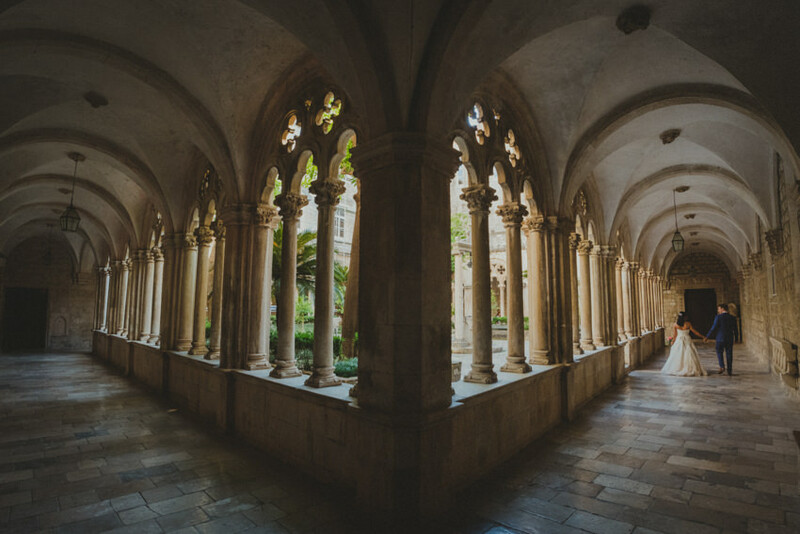 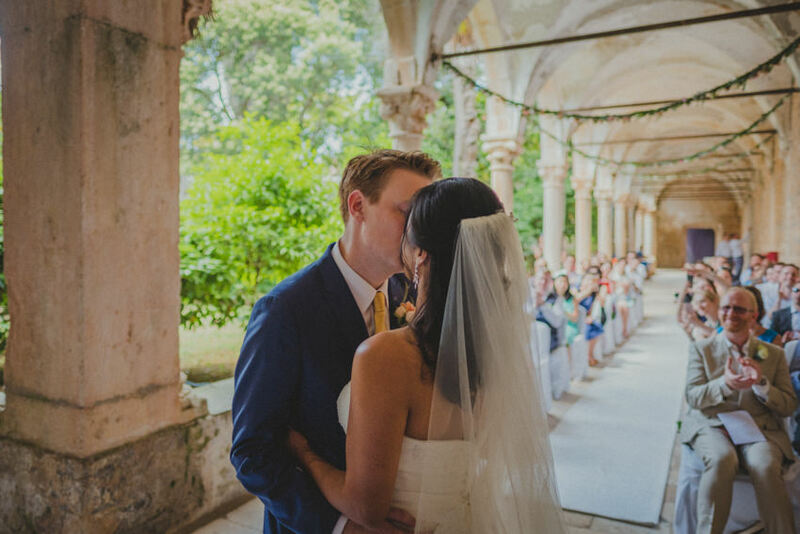 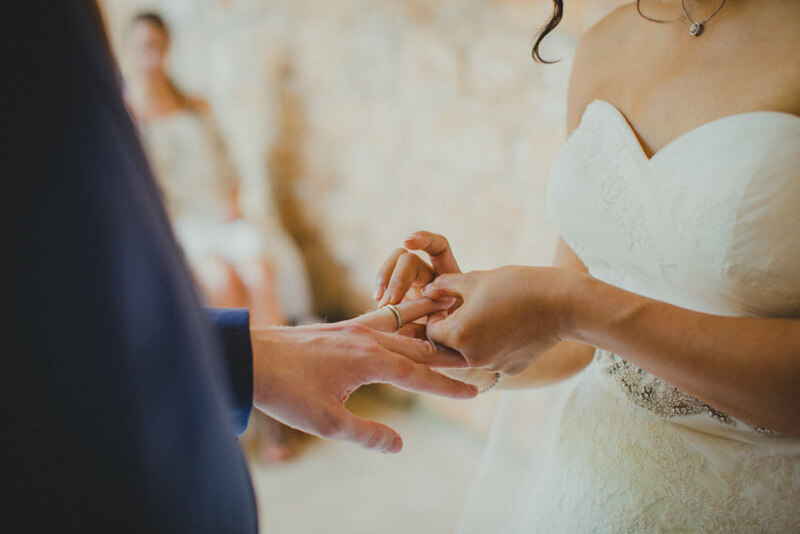 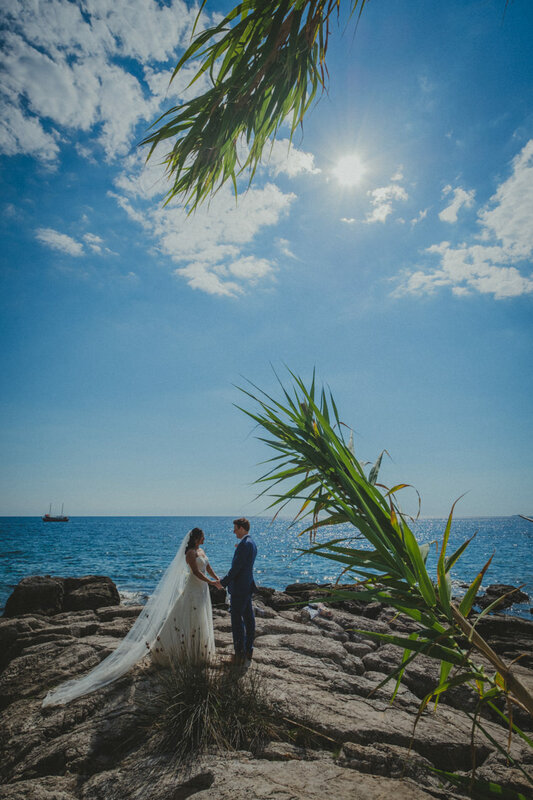 Our first venue was the ancient Dominican monastery on the island of Lokrum, beautifully transformed into the perfect ceremony venue, with the dichotomy between the architecture and surrounding nature emphasised by rustic floral decoration hanging under stone arches. 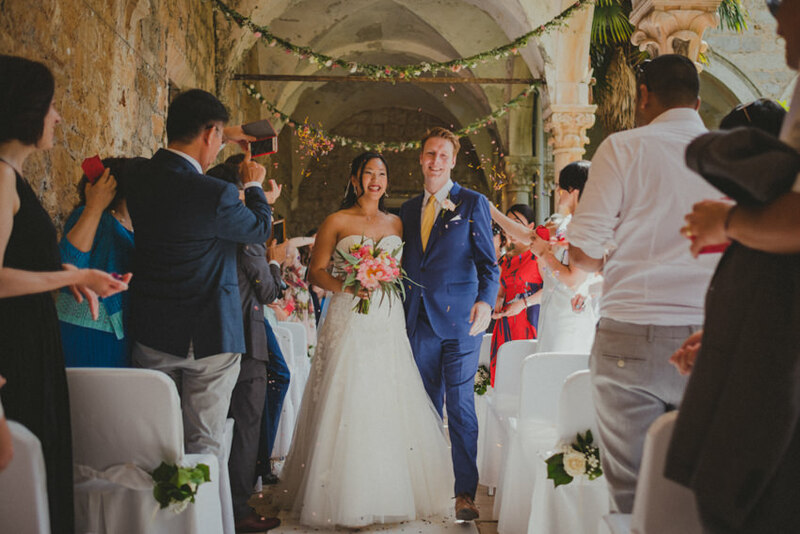 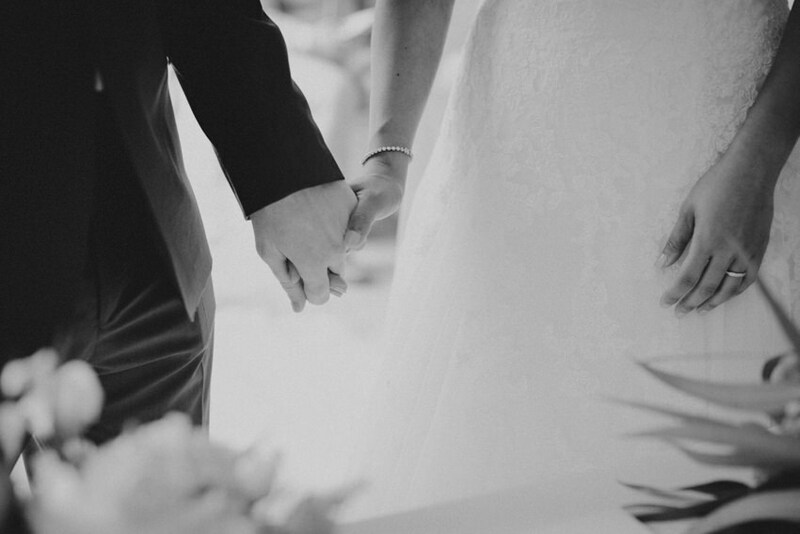 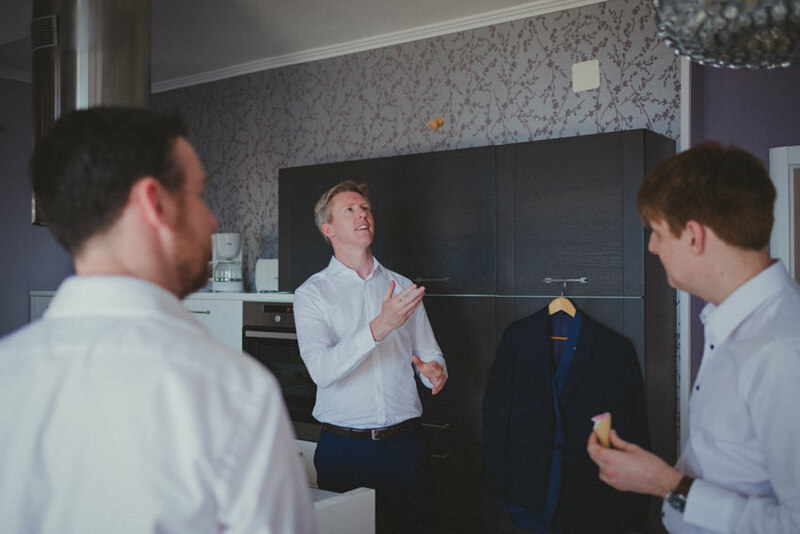 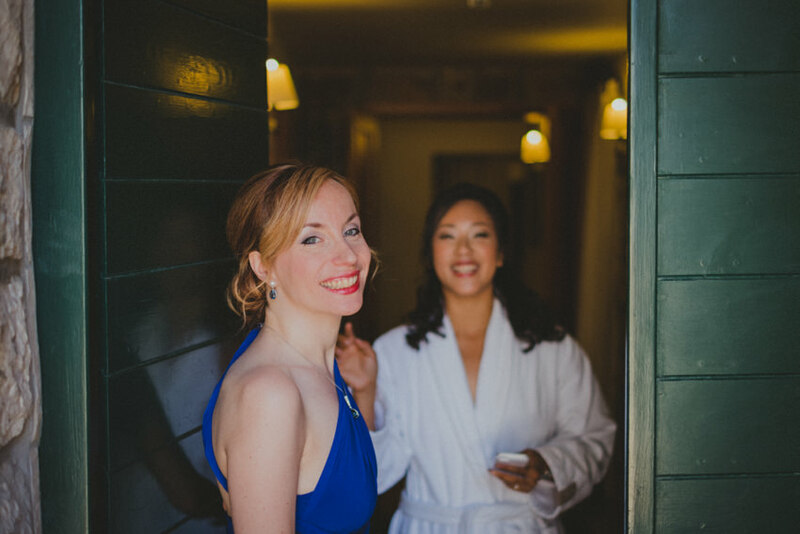 The guests were also split into two corridors of the atrium, meeting just where our couple said their vows! 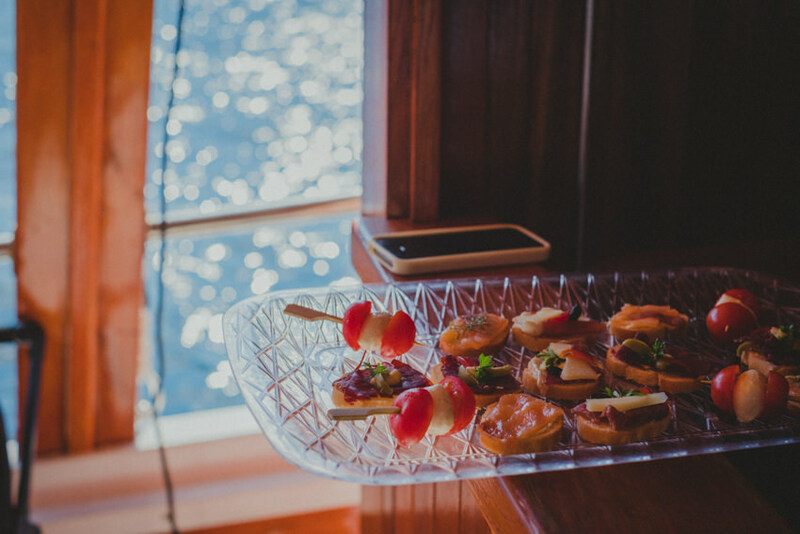 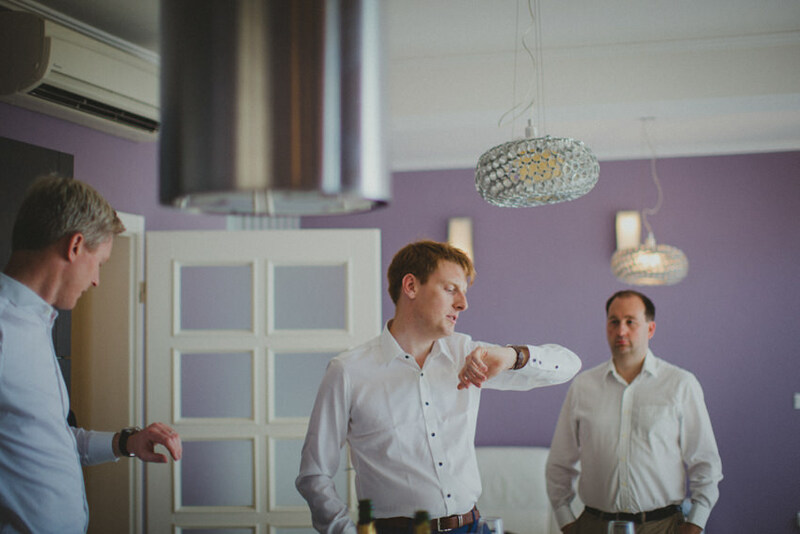 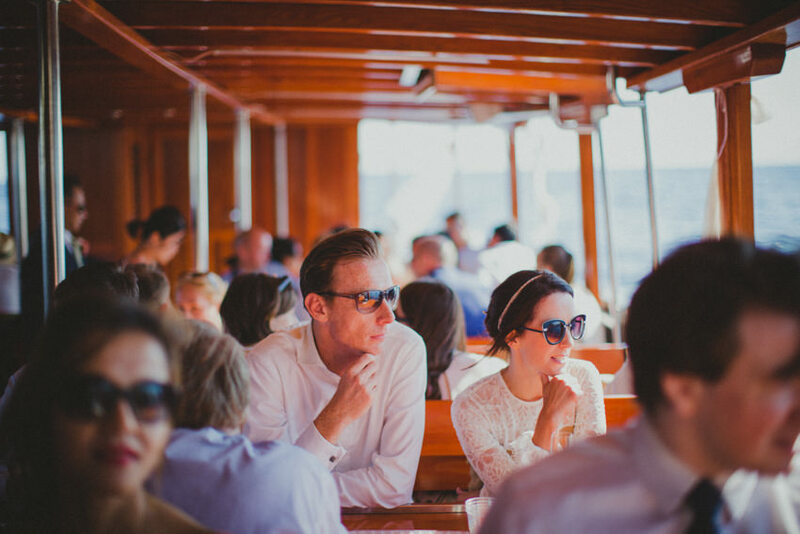 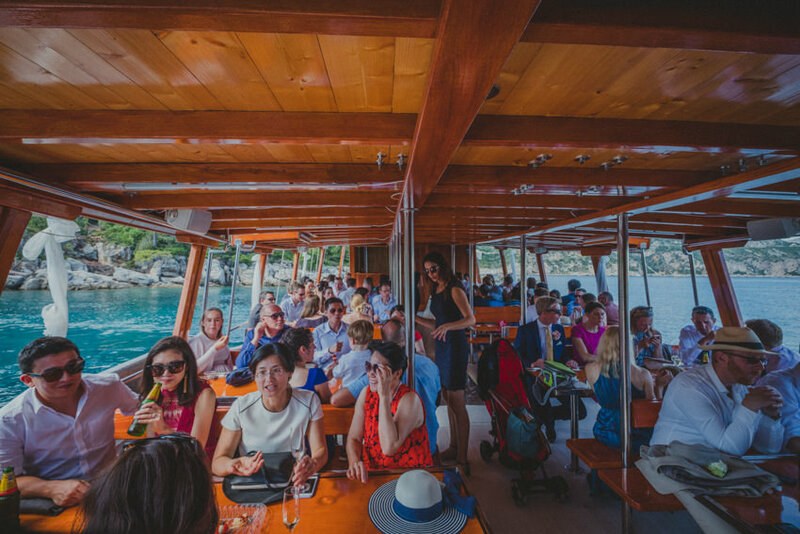 After a stroll around the island, we embarked on the boat to take us to our next venue — Palm Terrace of the hotel Excelsior. 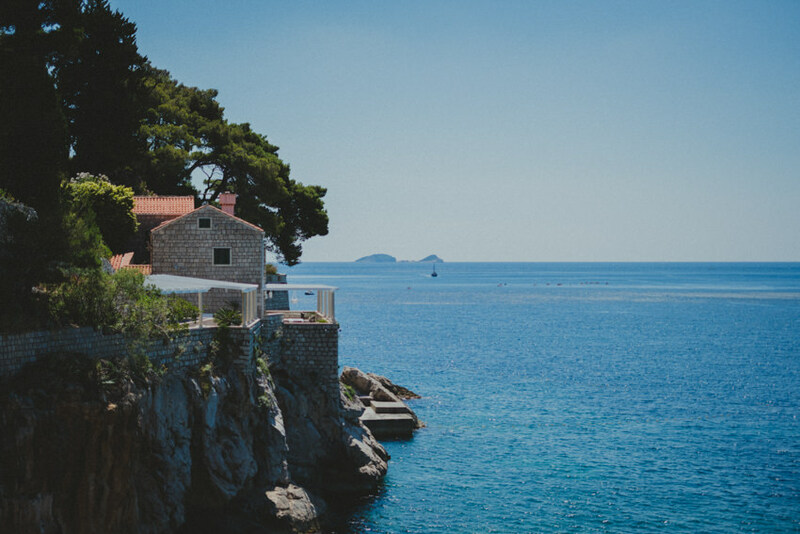 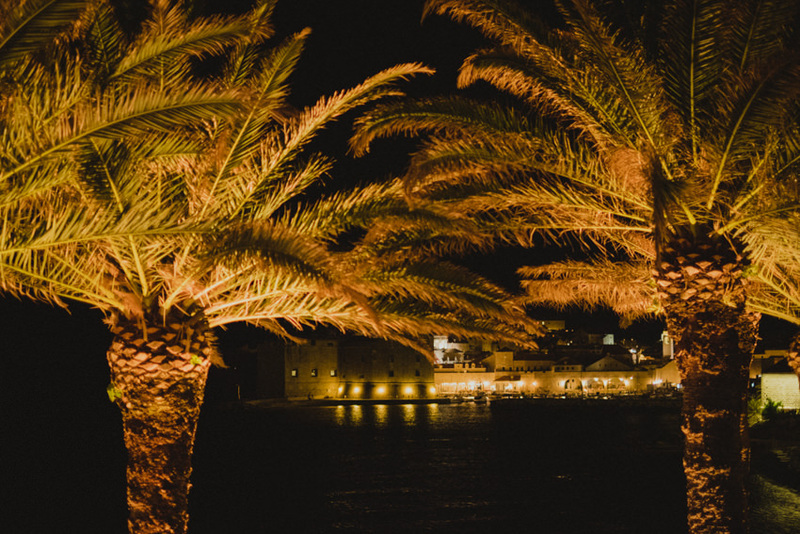 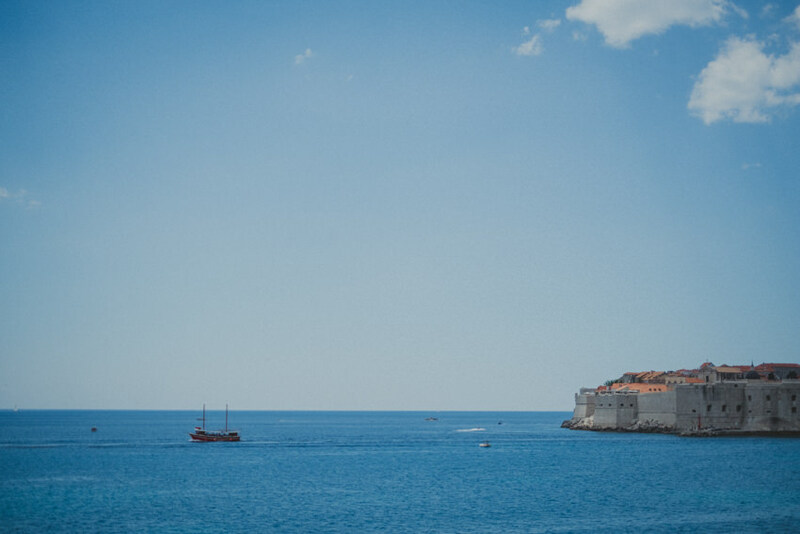 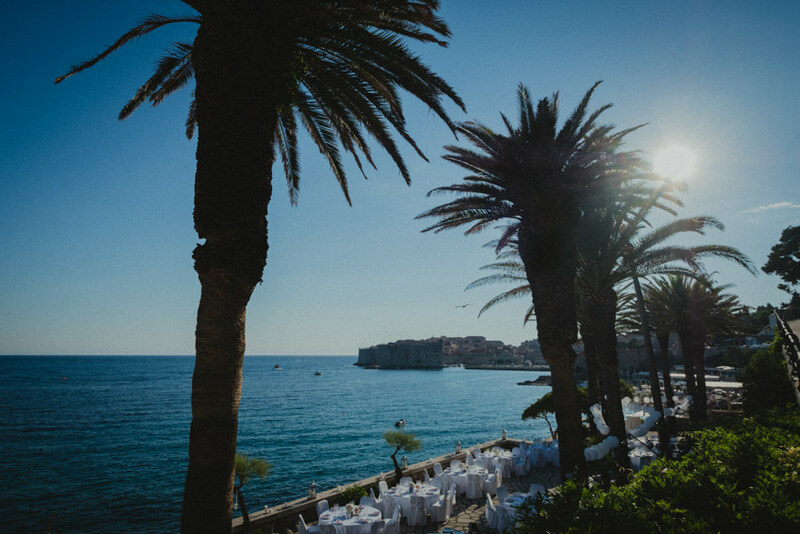 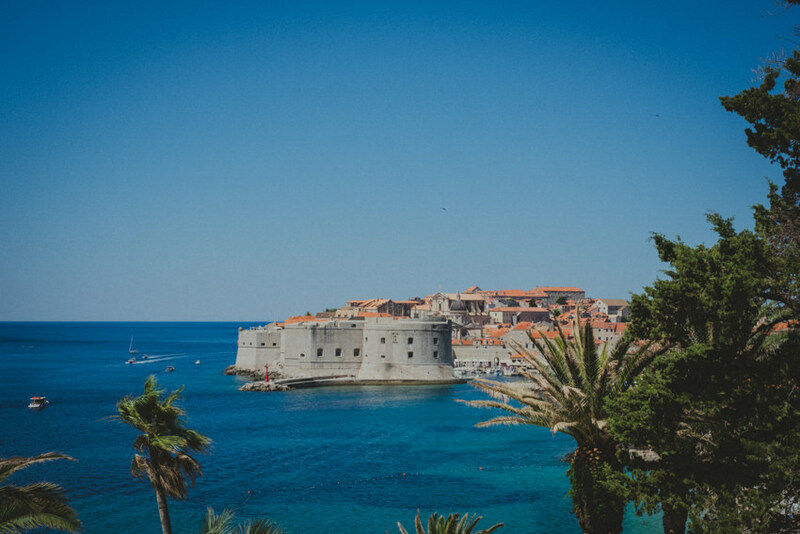 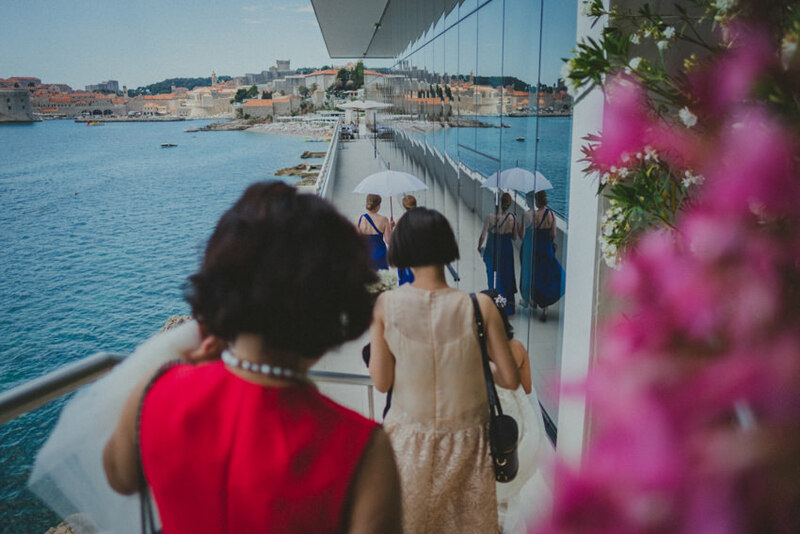 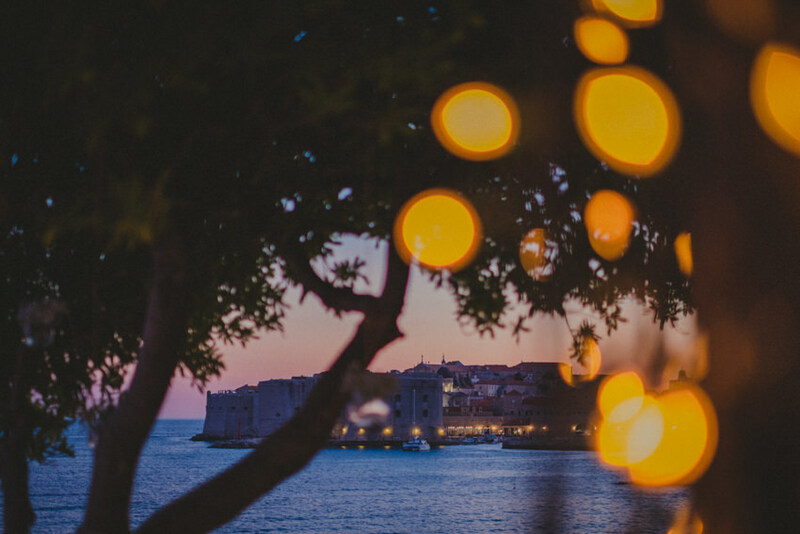 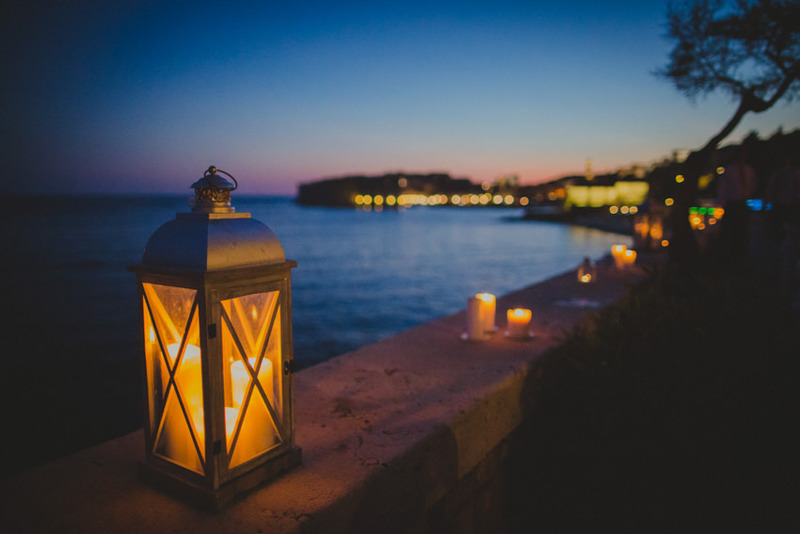 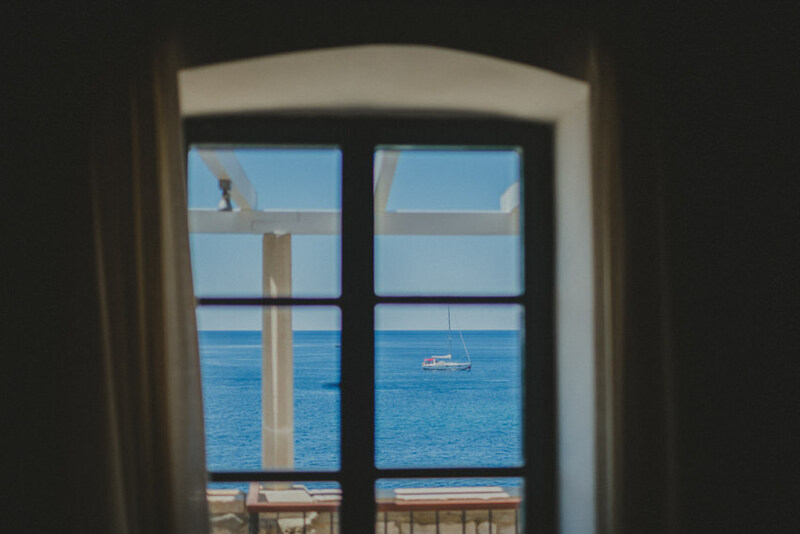 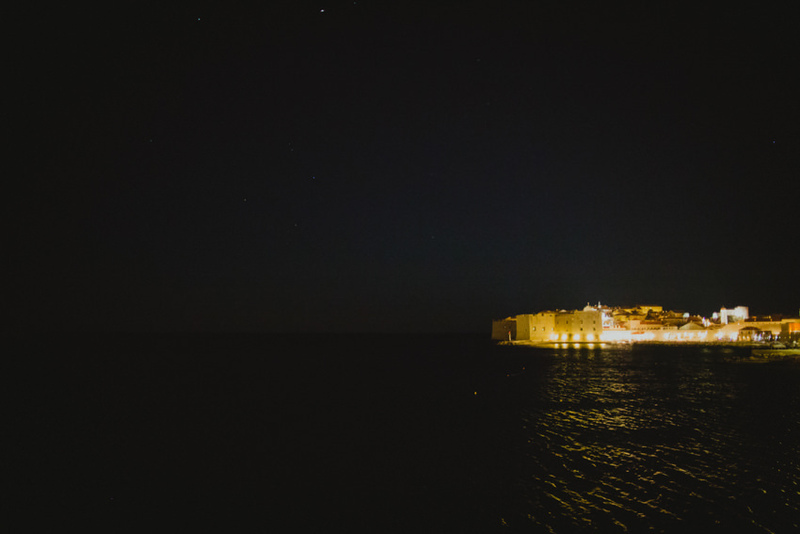 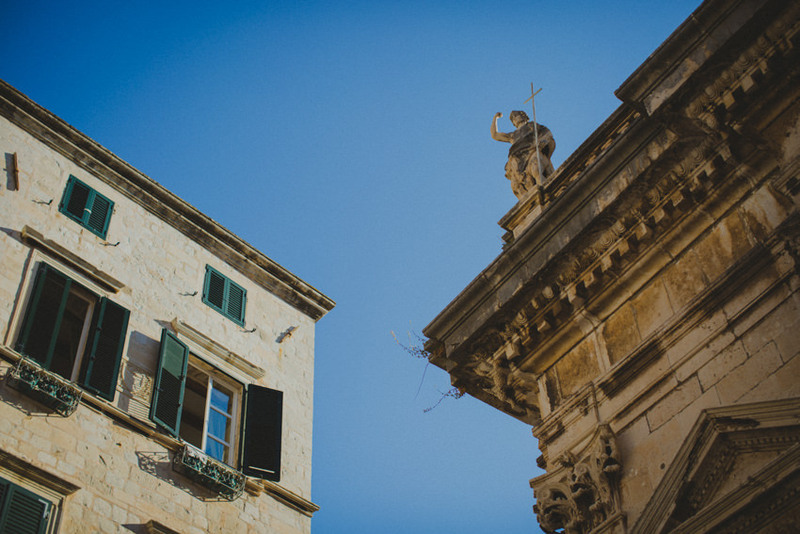 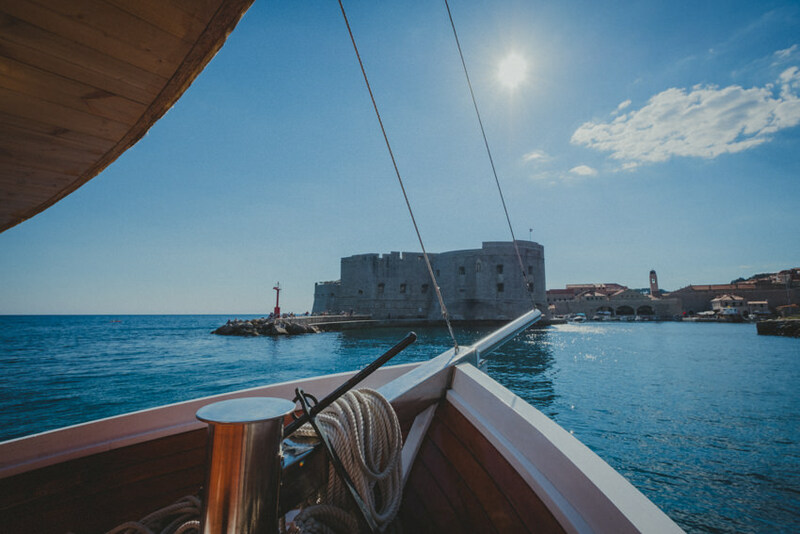 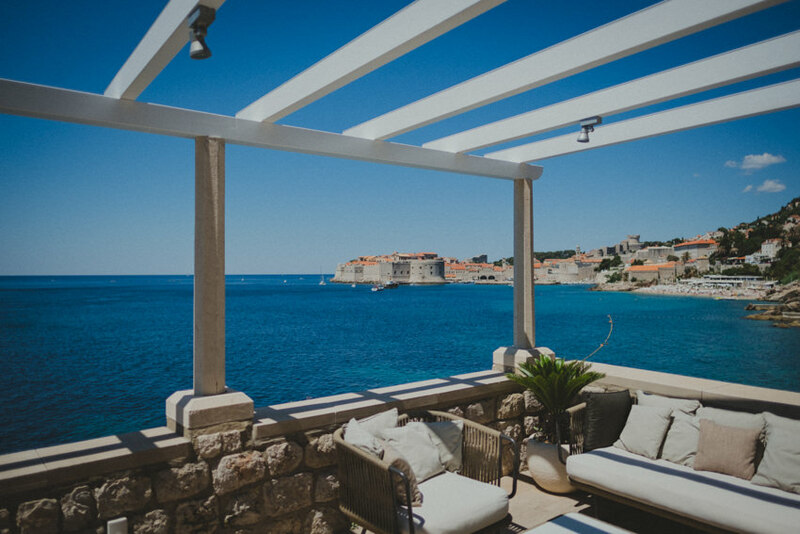 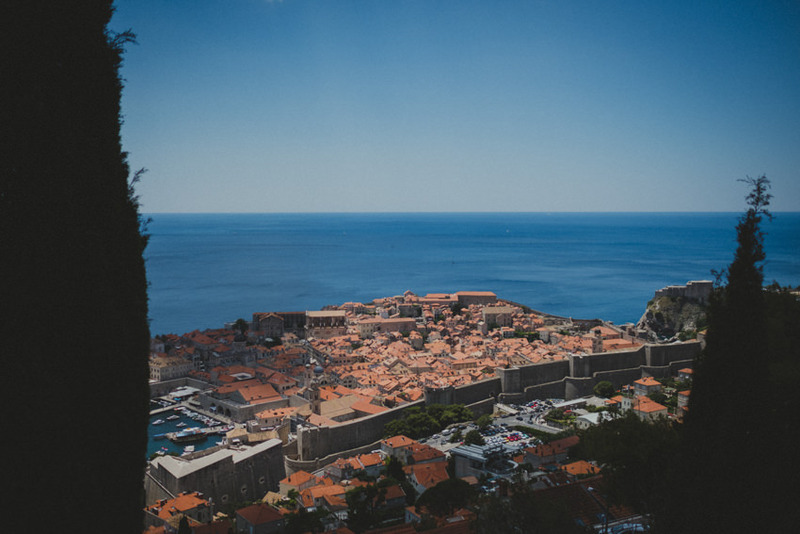 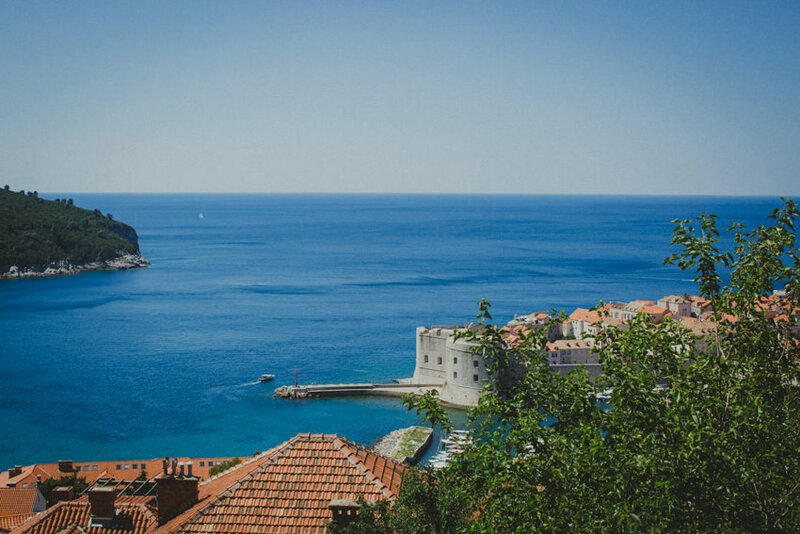 If there was a contest for the best view in Dubrovnik, the Palm Terrace would probably come out on top. 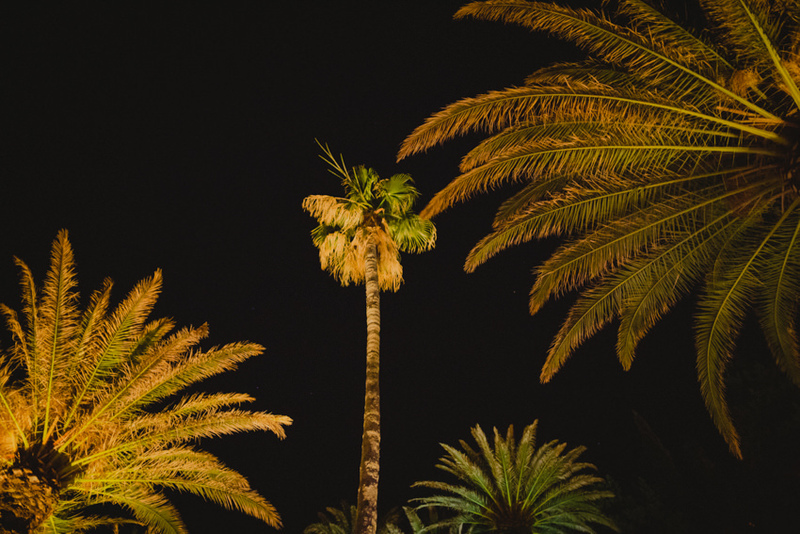 As you scroll down, you’ll see why! 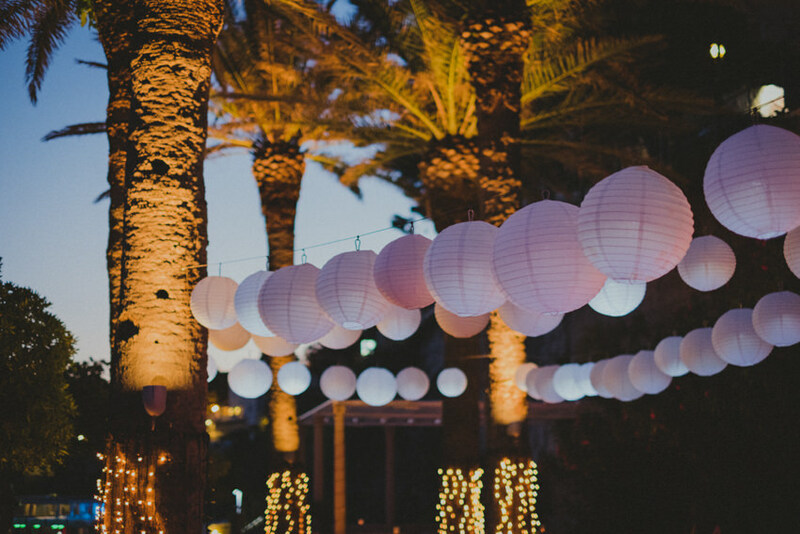 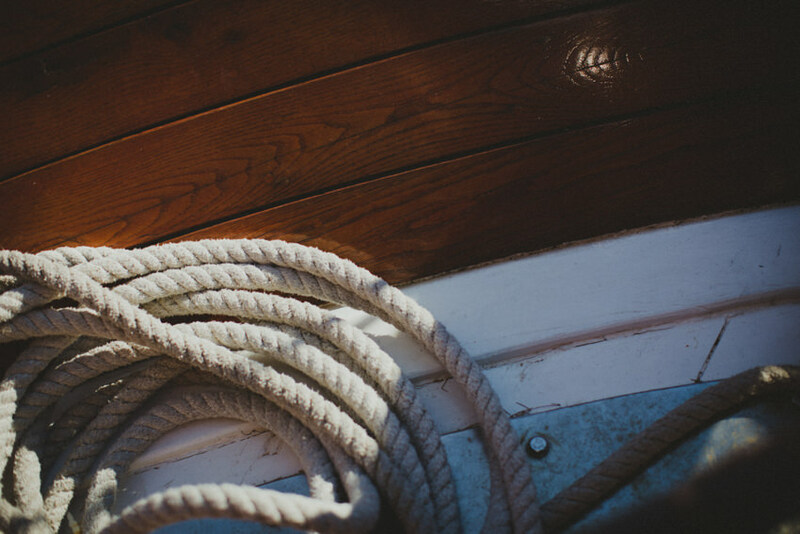 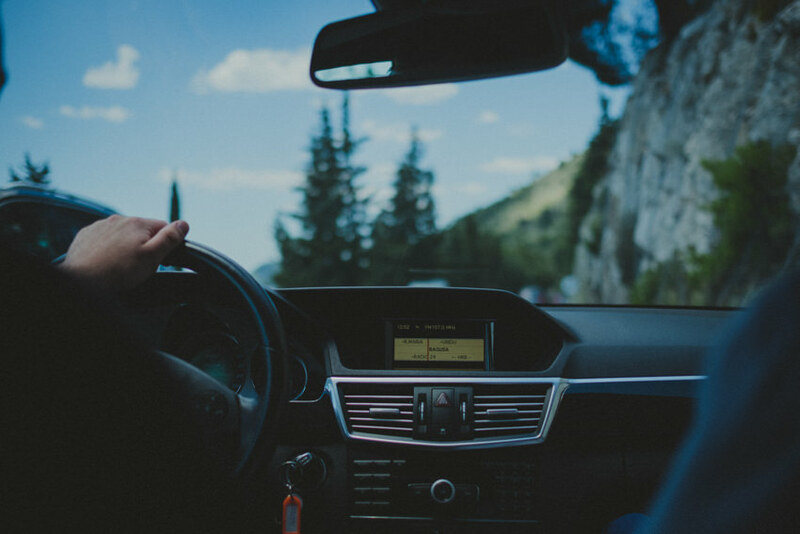 As the night progressed, the summer breeze picked up and played its own tricks on the decorations… something you’ll see for yourself near the end of this story. 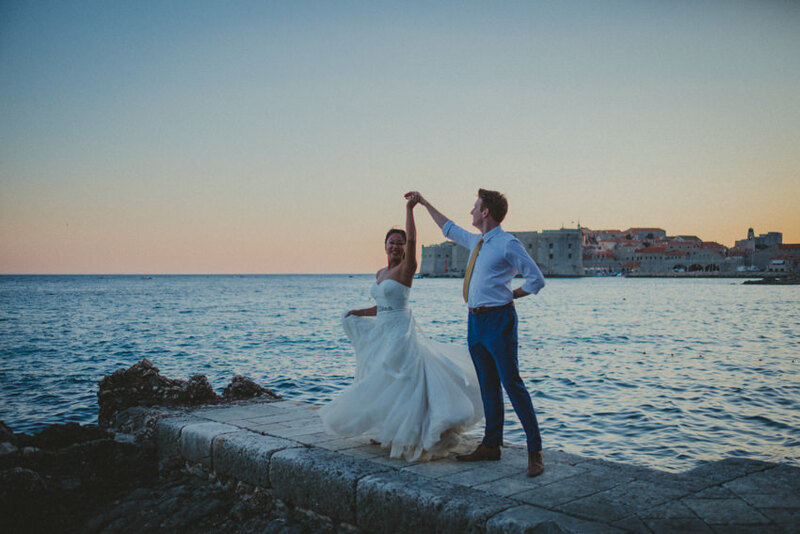 I’ll leave you with one final pointer: don’t miss Imogen’s spectacular twirl at sunset, showing off her dancing background.